It not only discusses some of the issues but suggests specific responses that can be done by individuals, institutions, professional organizations, and governments. 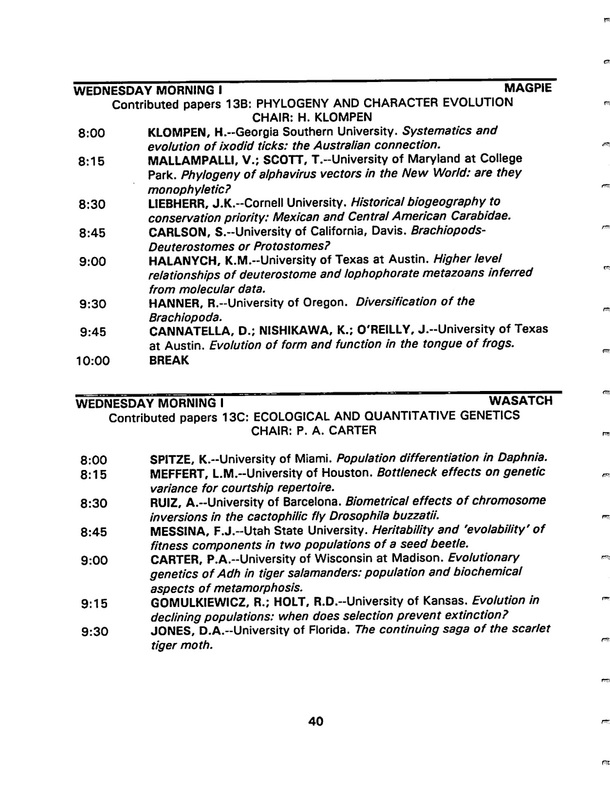 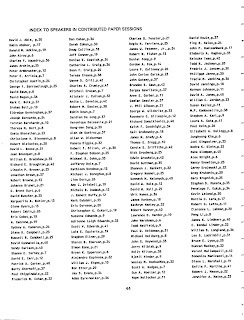 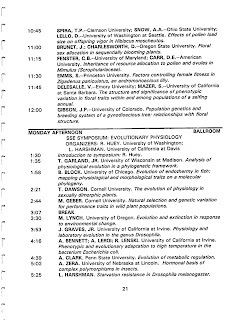 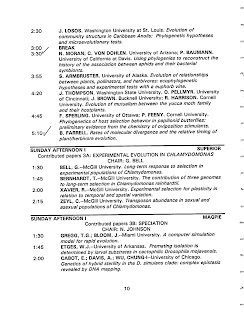 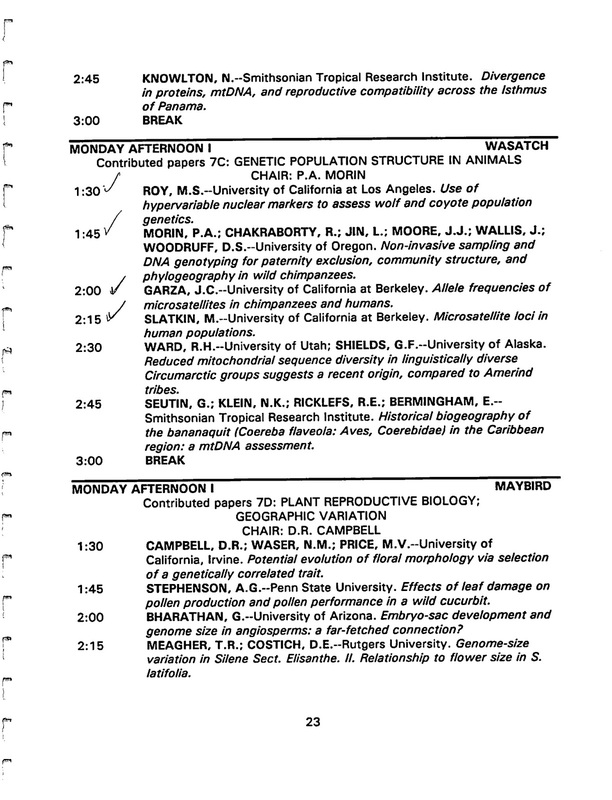 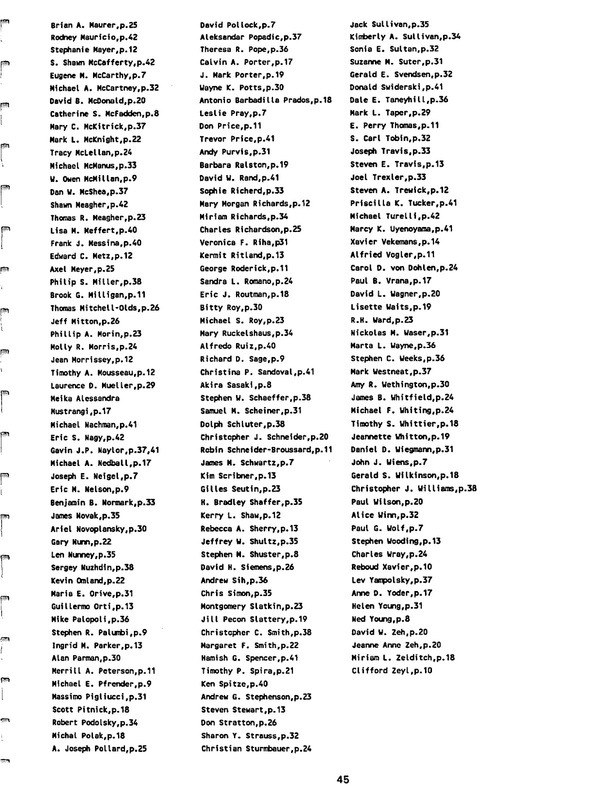 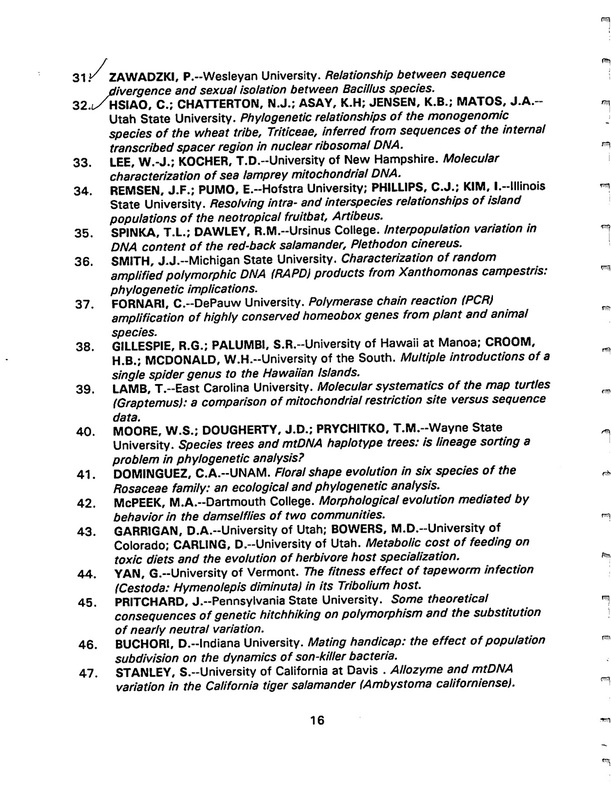 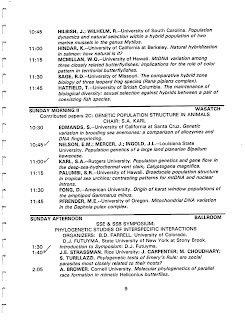 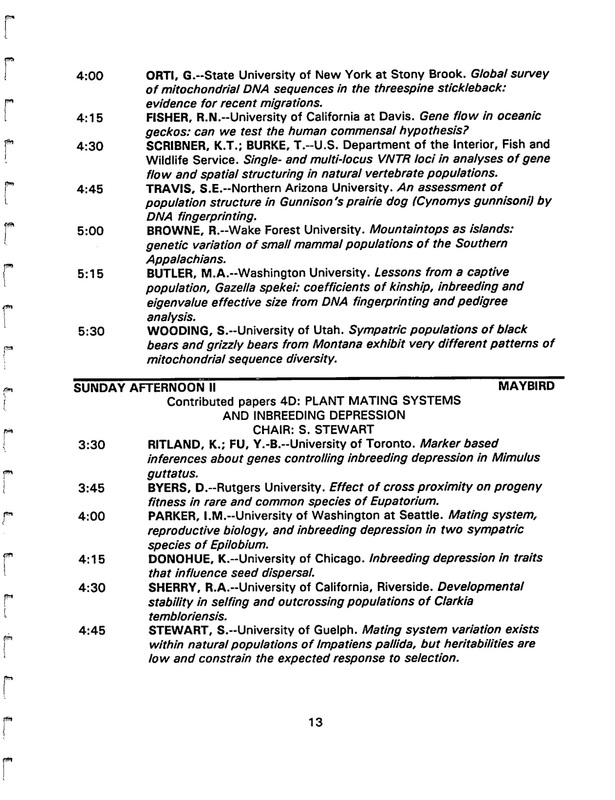 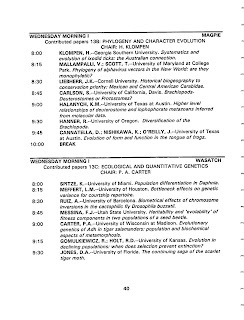 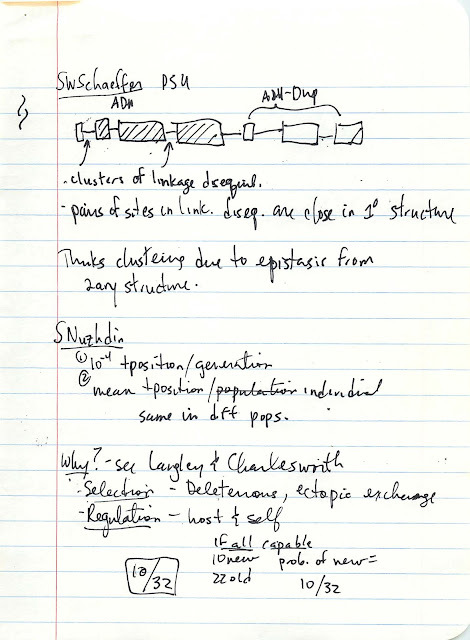 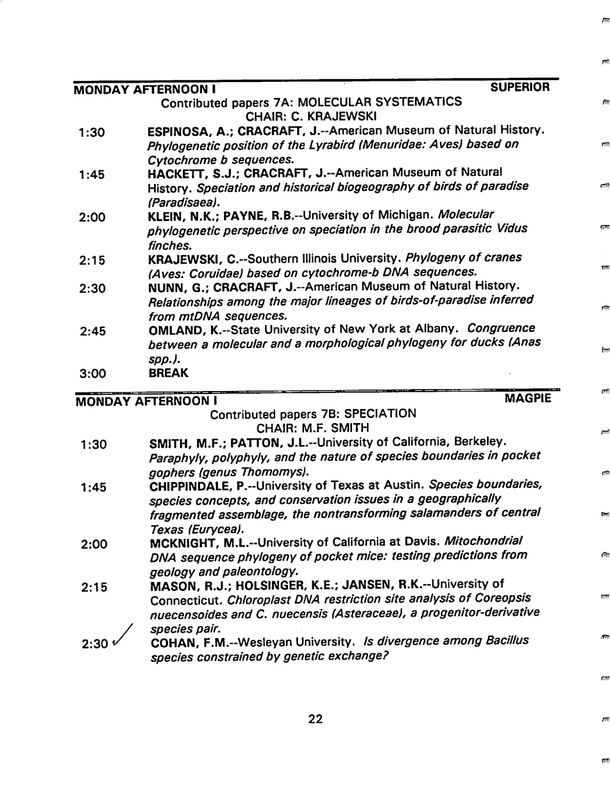 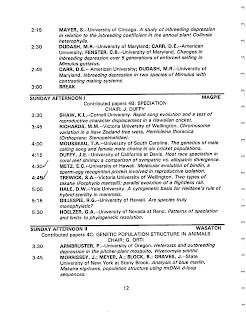 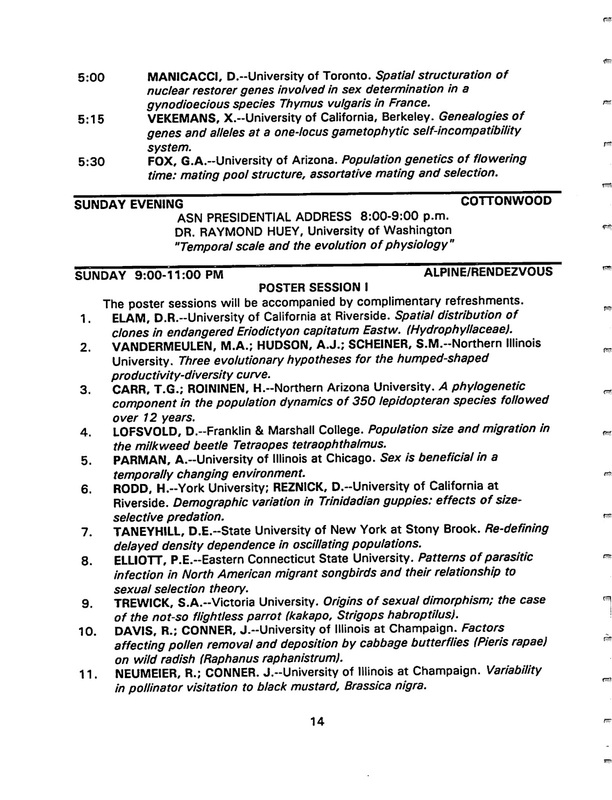 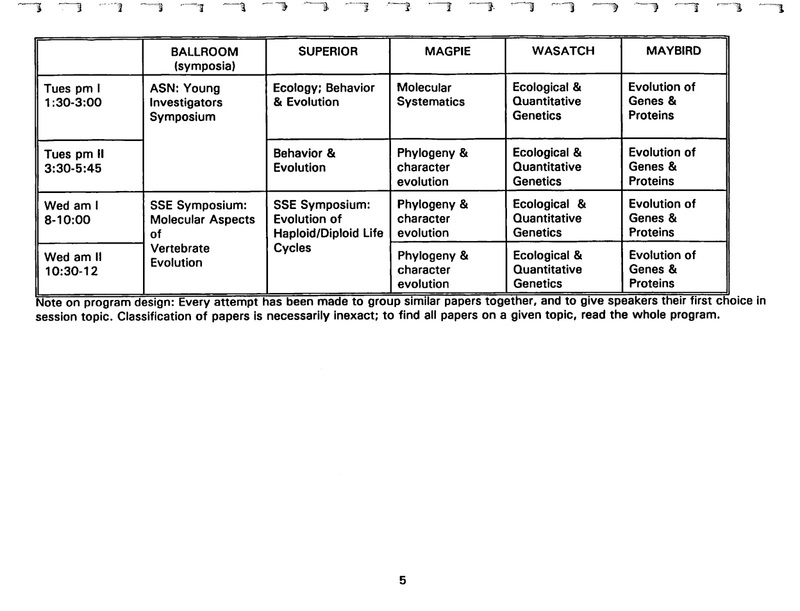 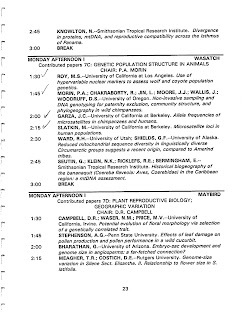 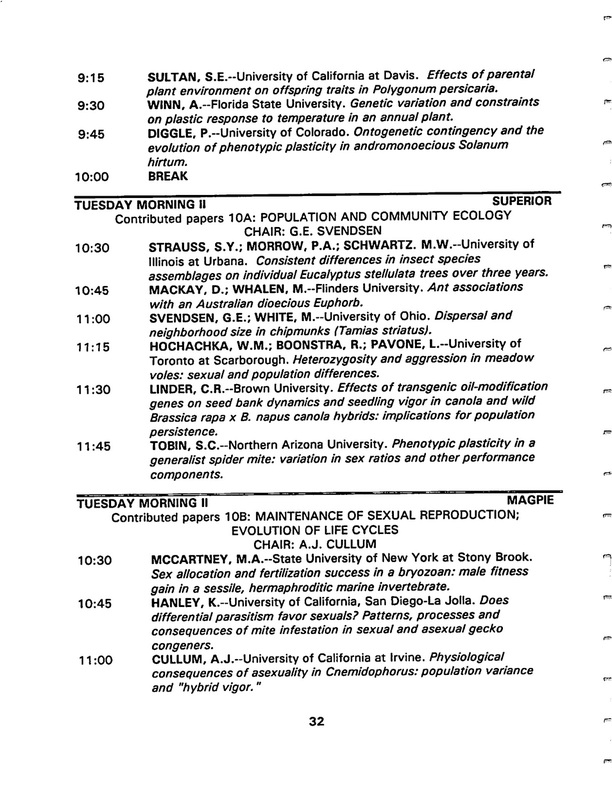 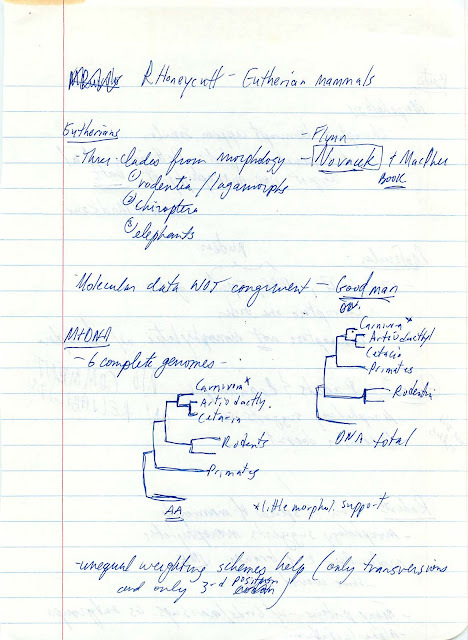 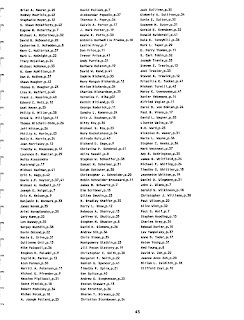 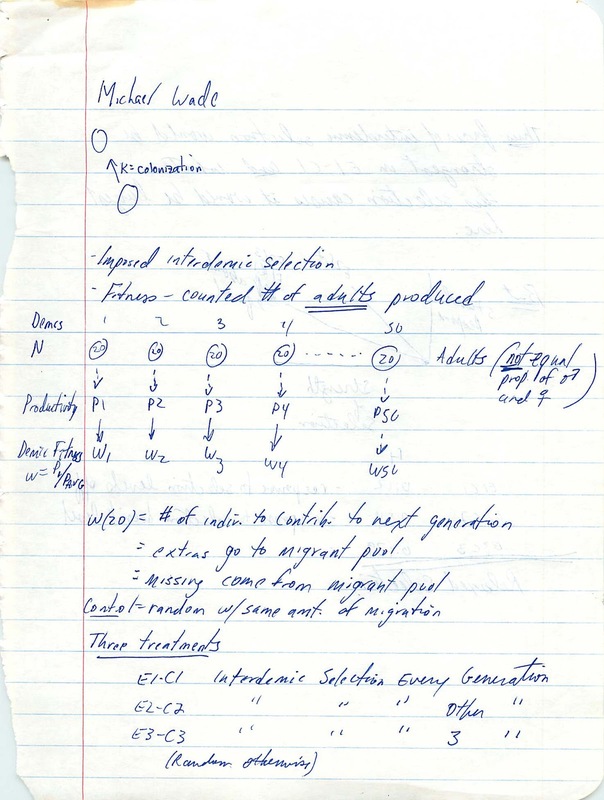 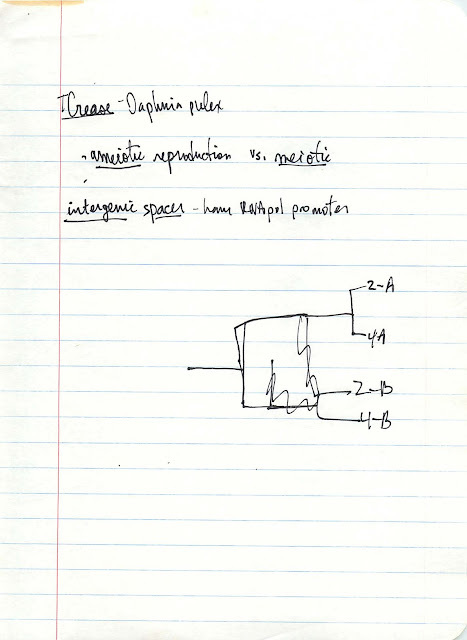 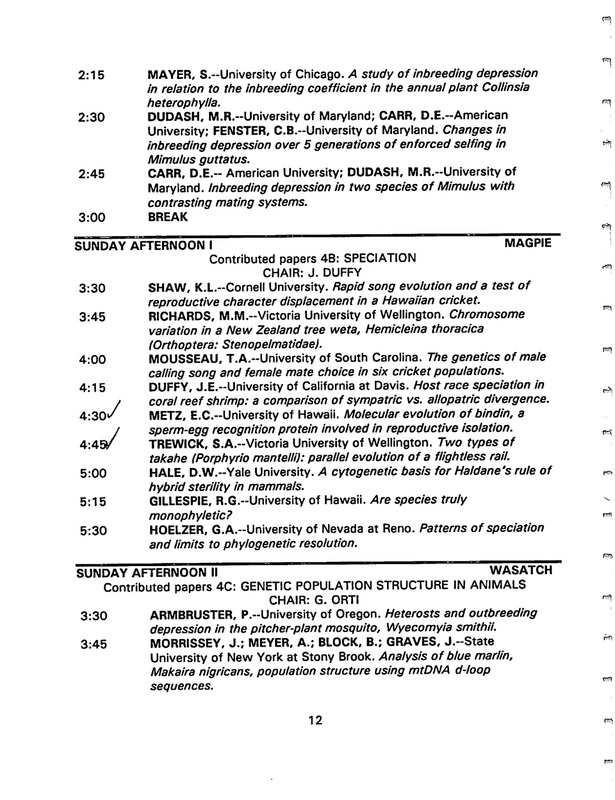 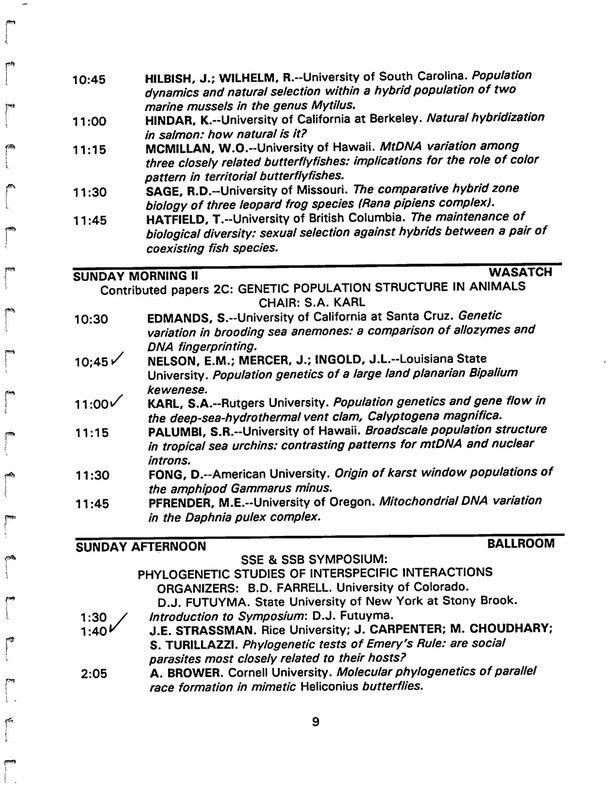 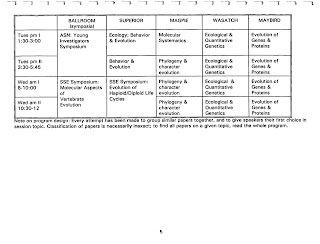 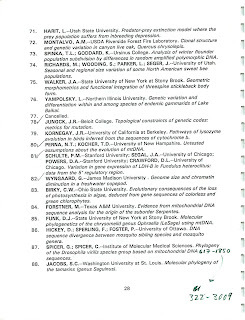 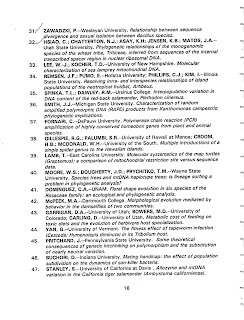 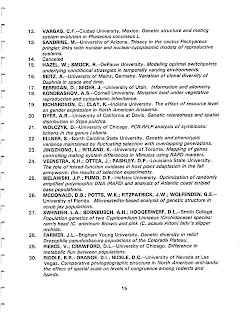 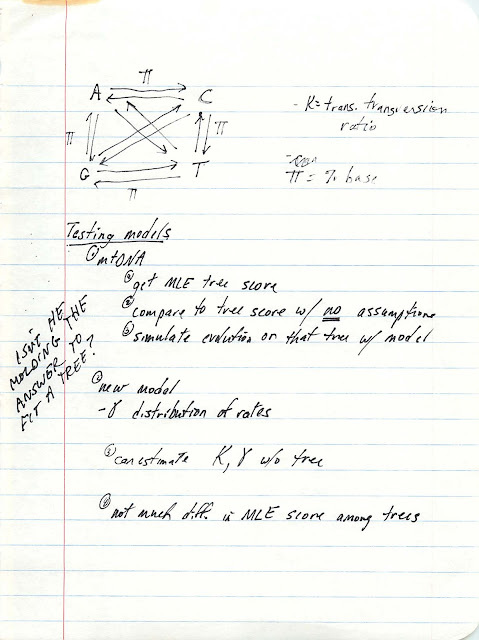 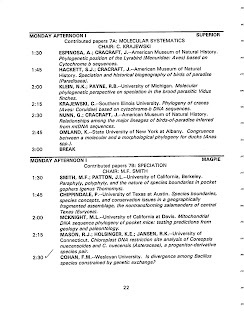 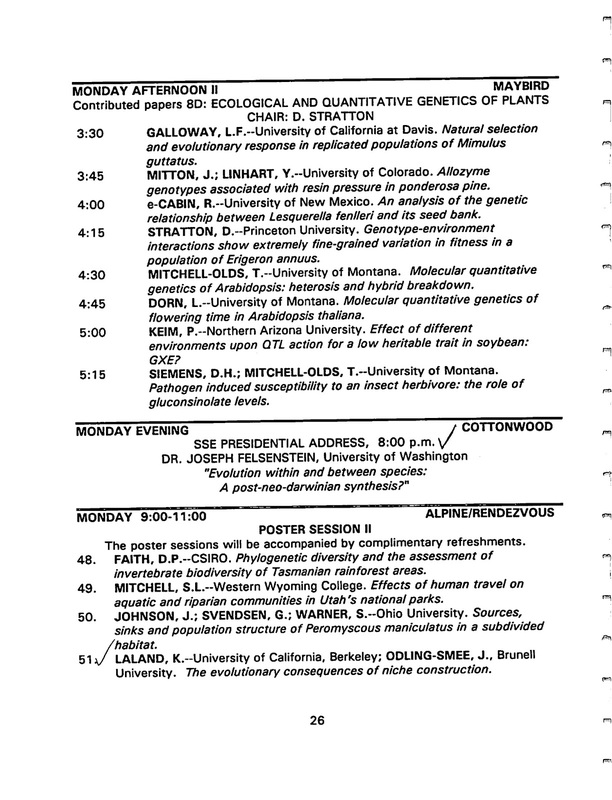 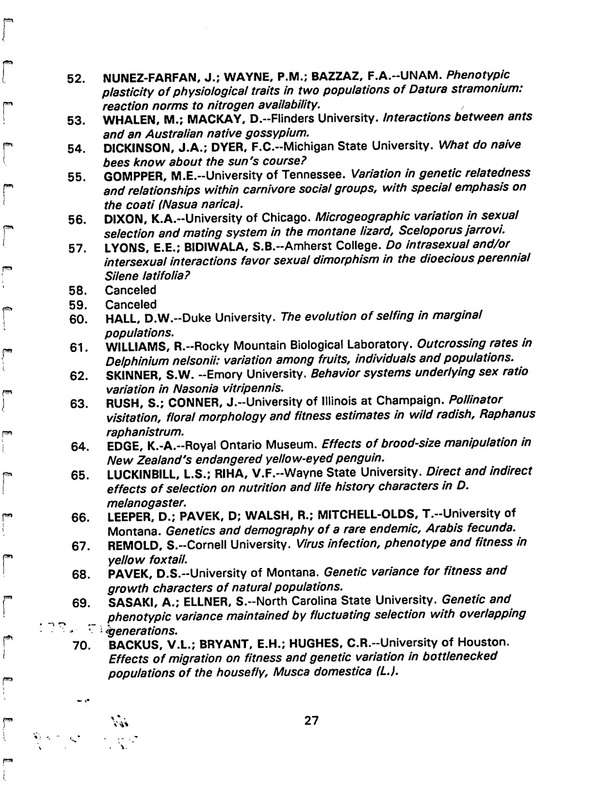 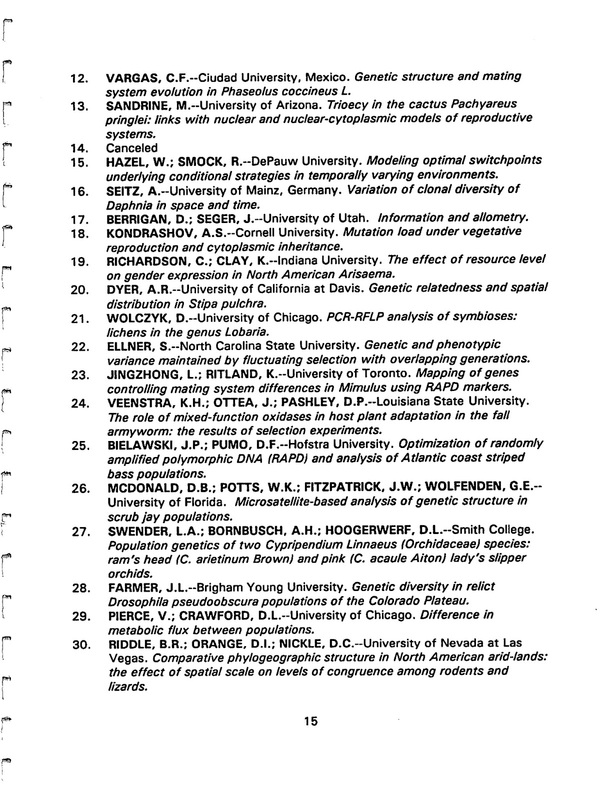 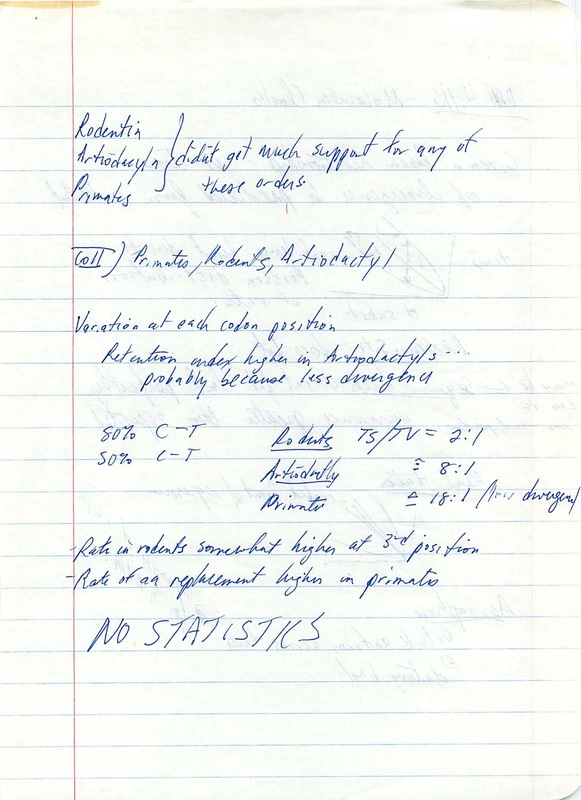 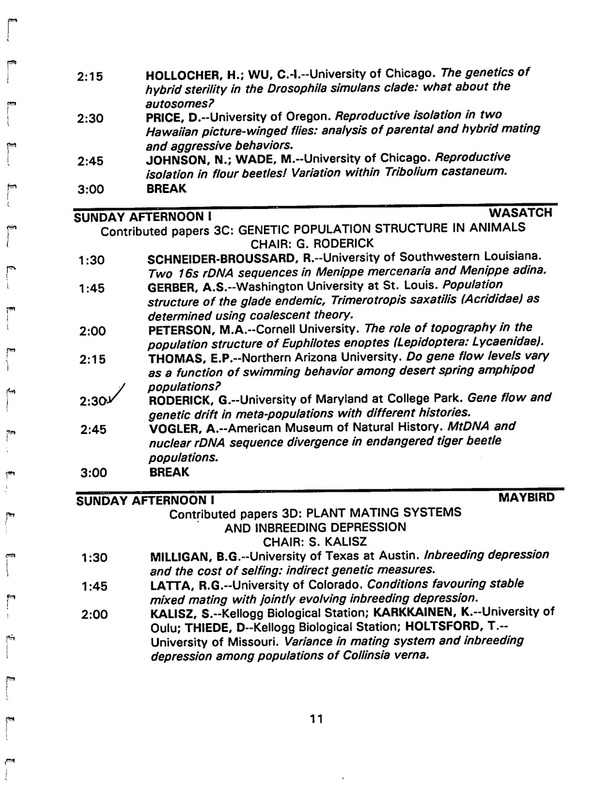 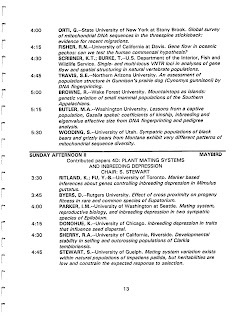 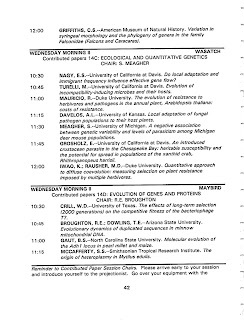 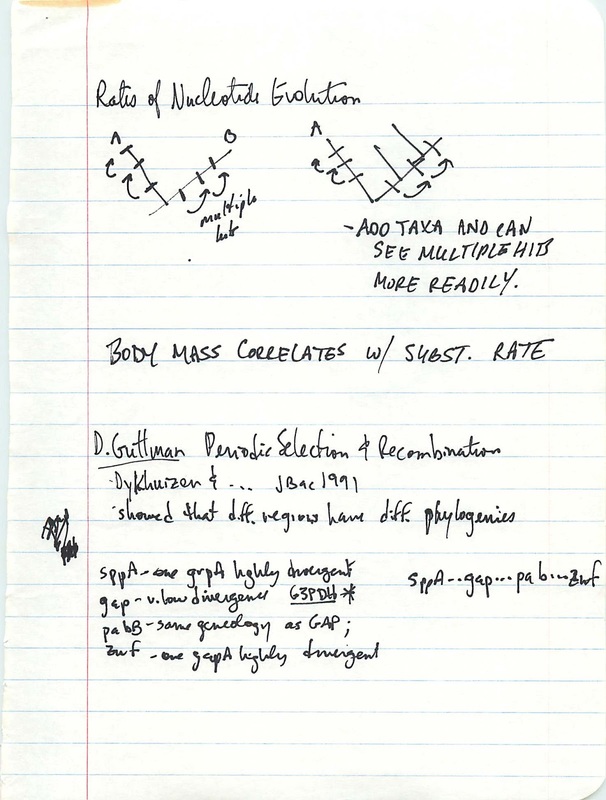 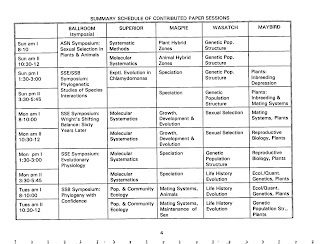 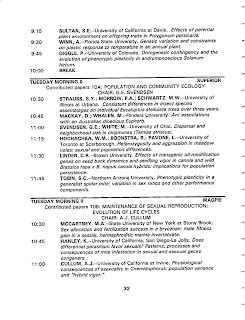 When I was in graduate school I was blessed to be able to attend many of the CALPEG (California Population and Evolutionary Genetics Group) meetings (at least, I think that is what CALPEG stood for). 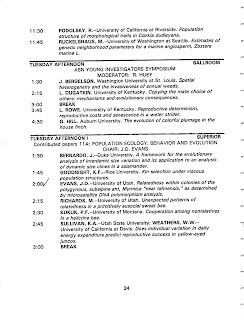 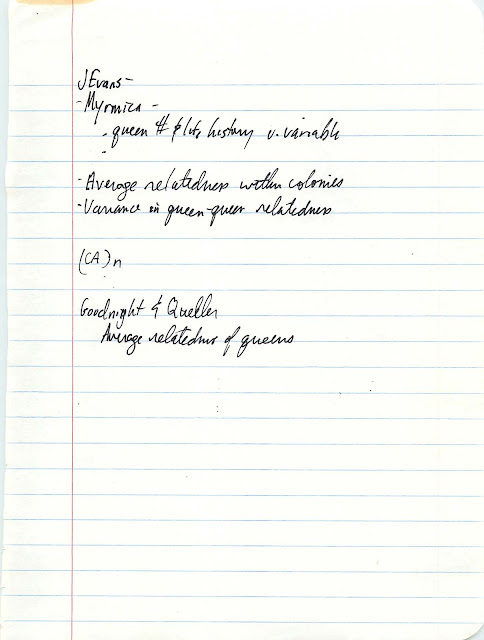 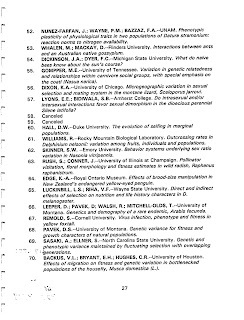 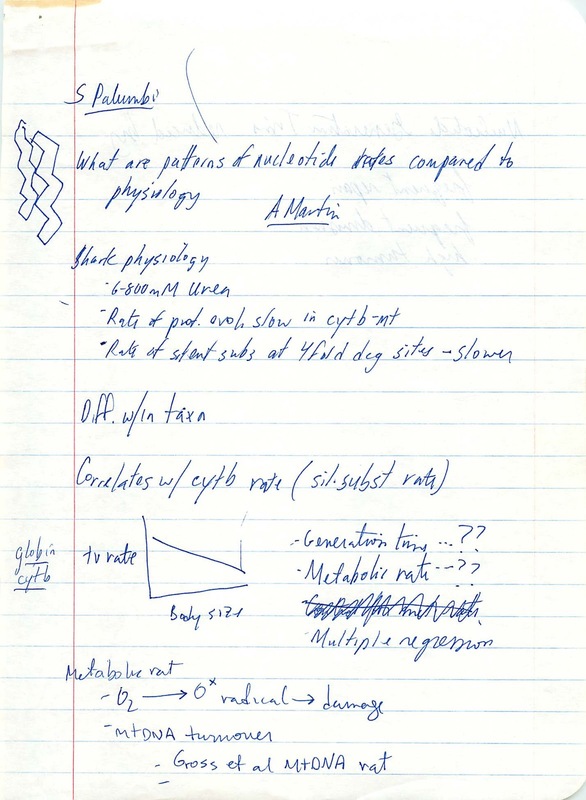 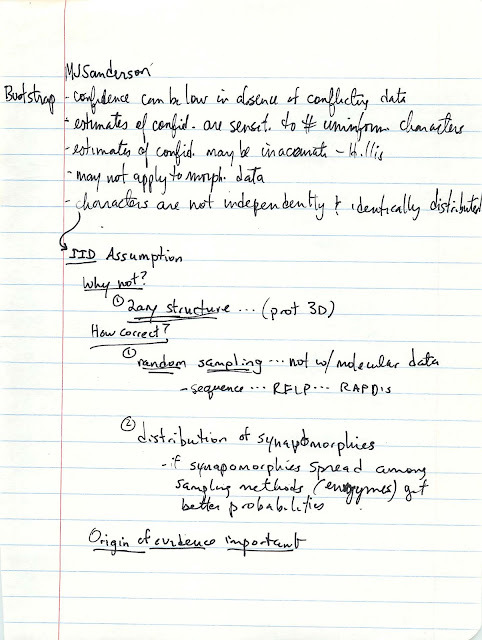 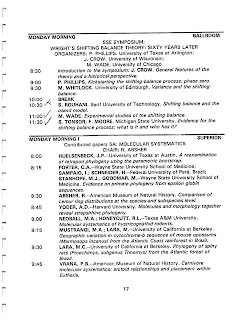 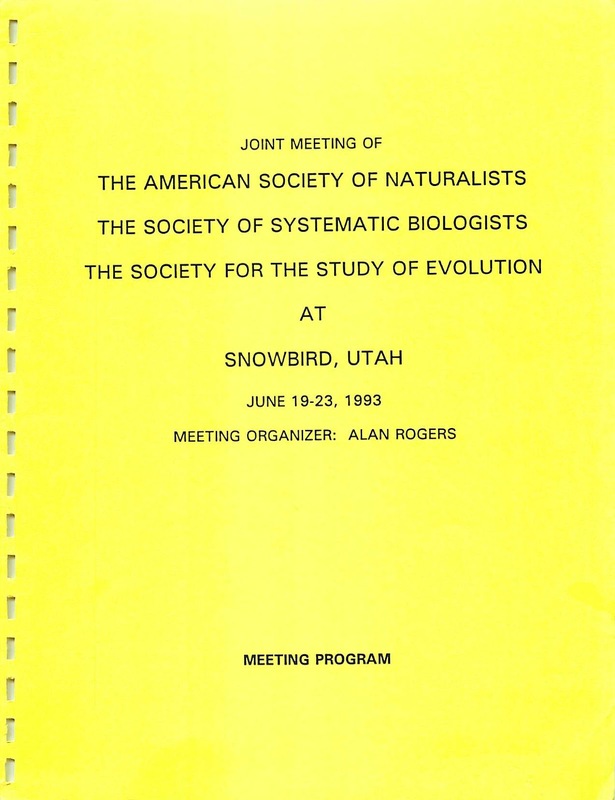 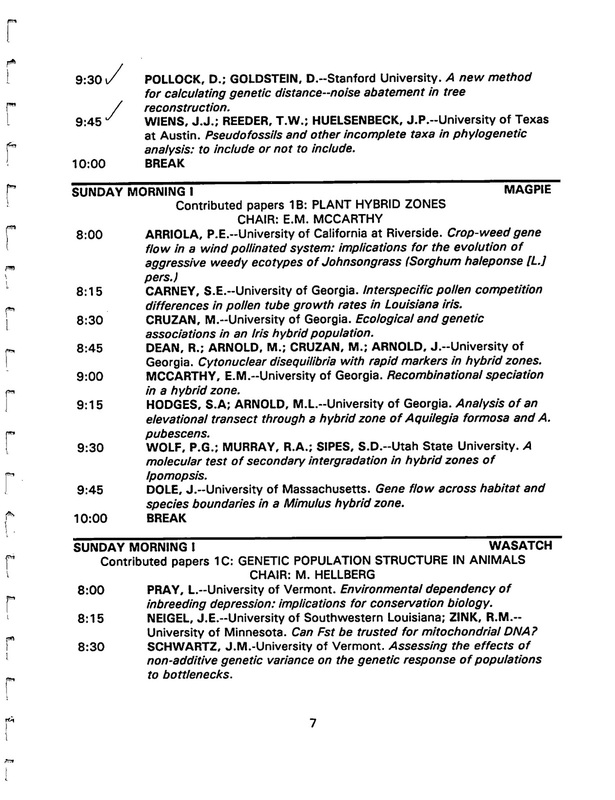 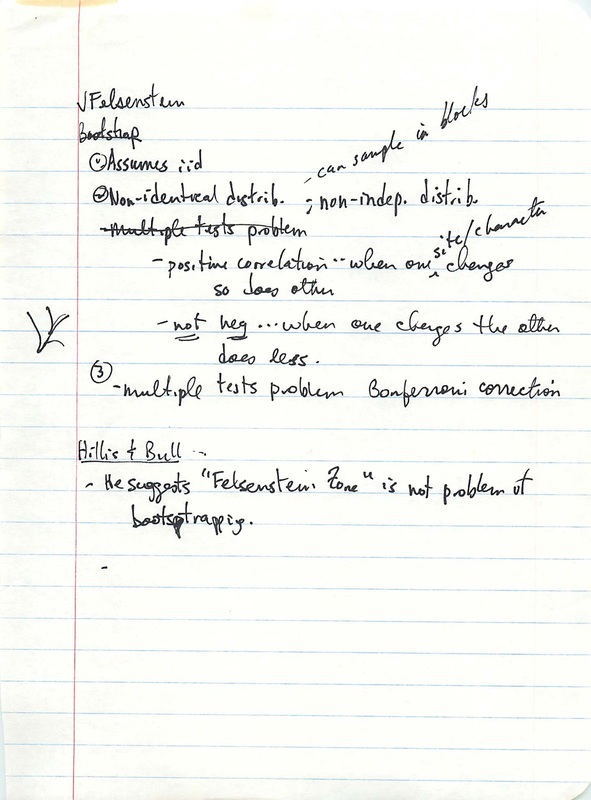 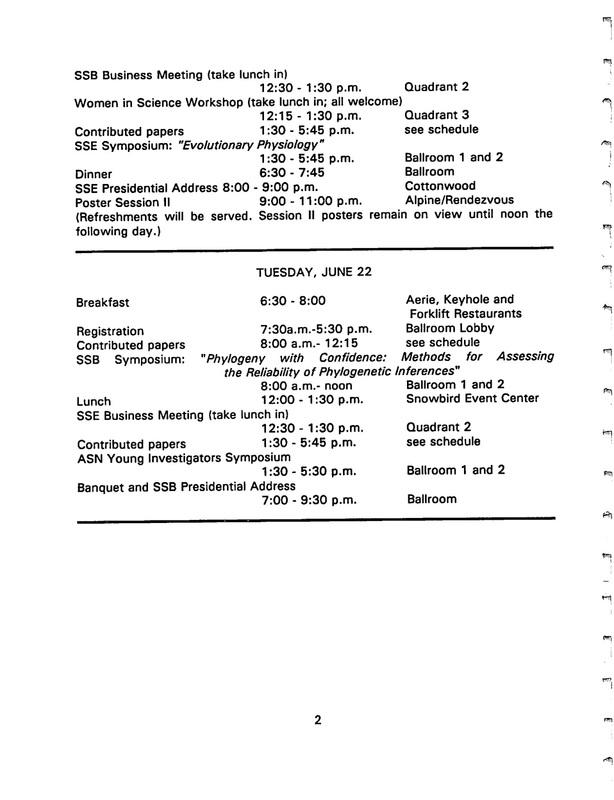 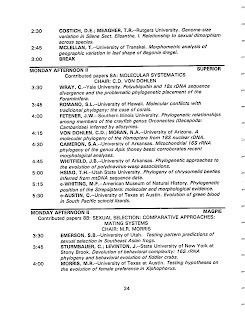 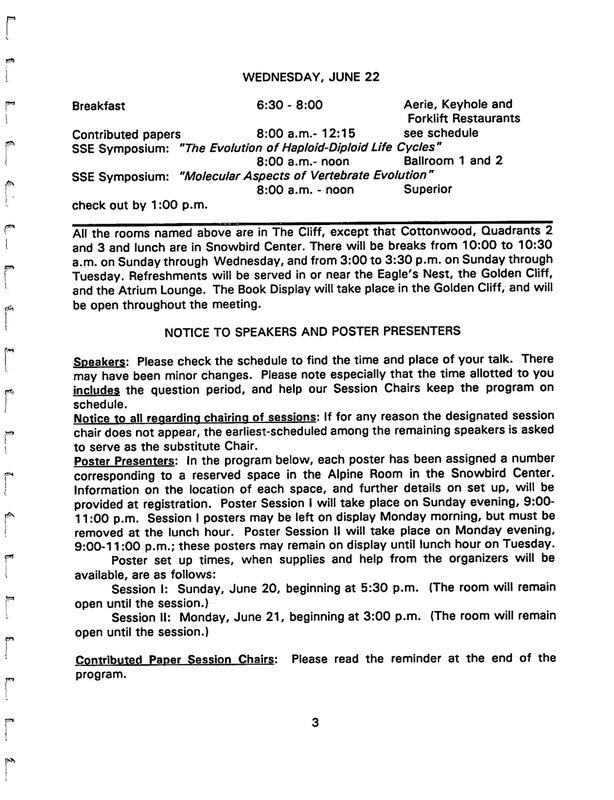 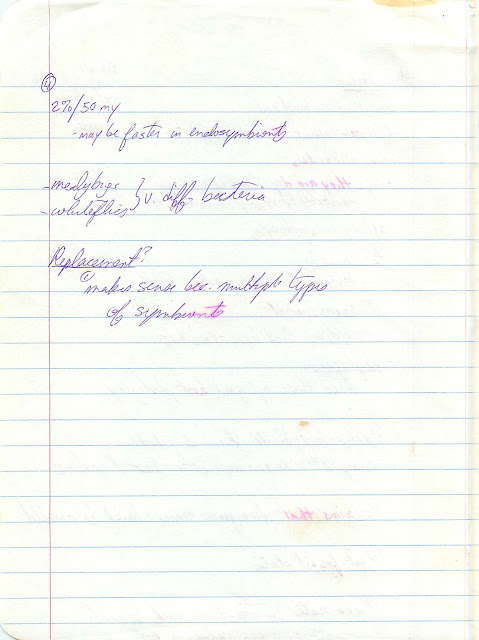 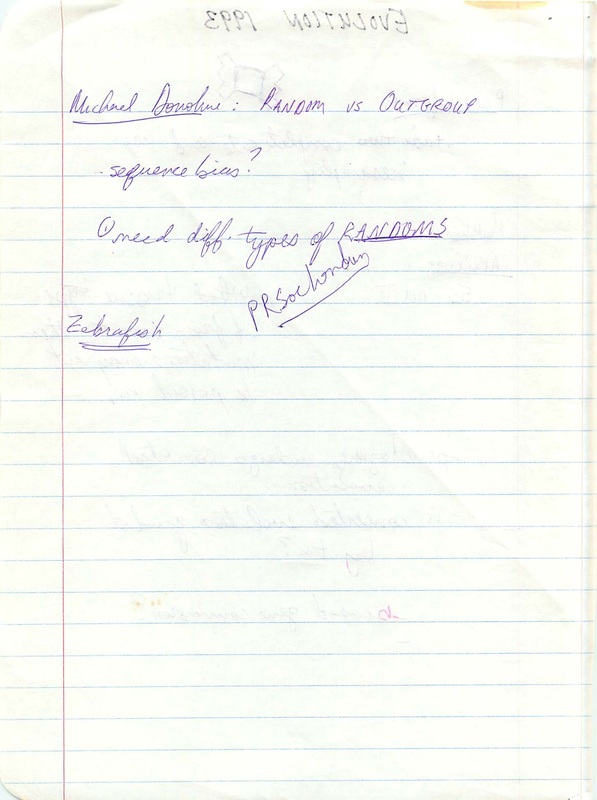 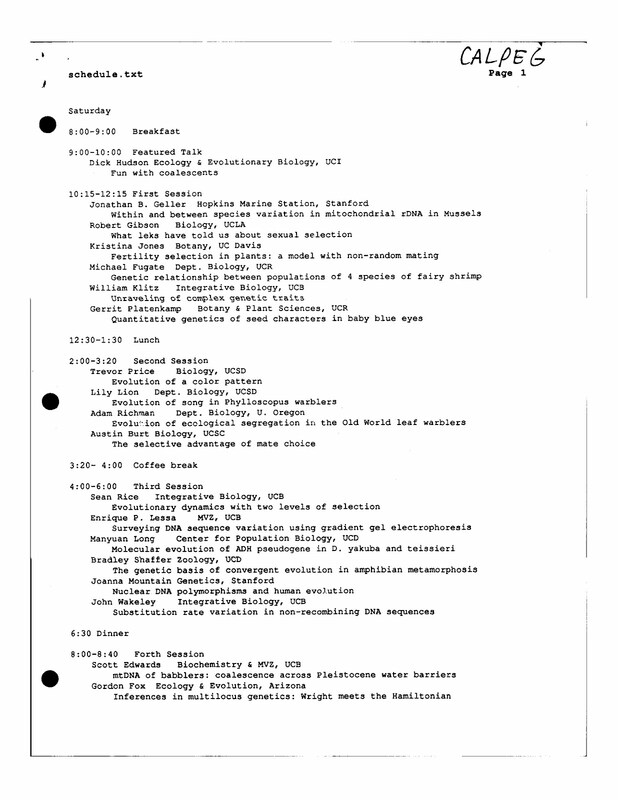 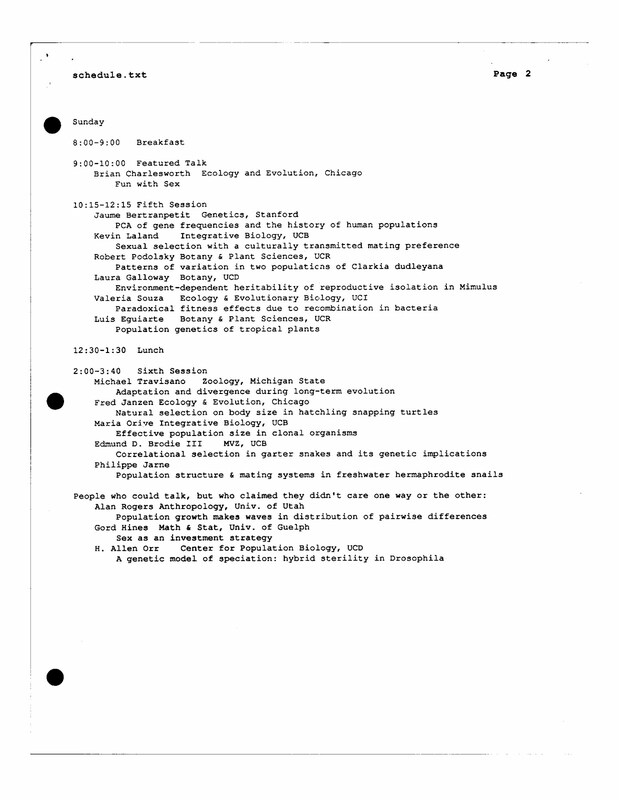 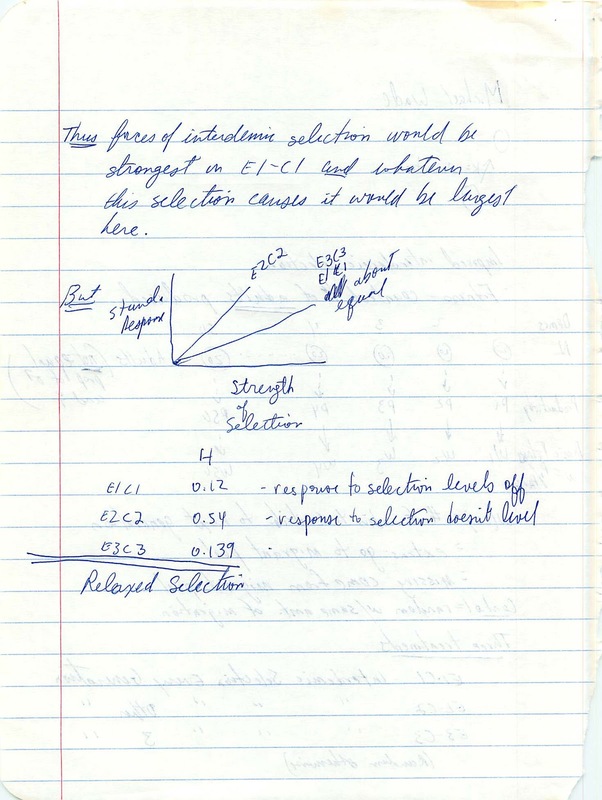 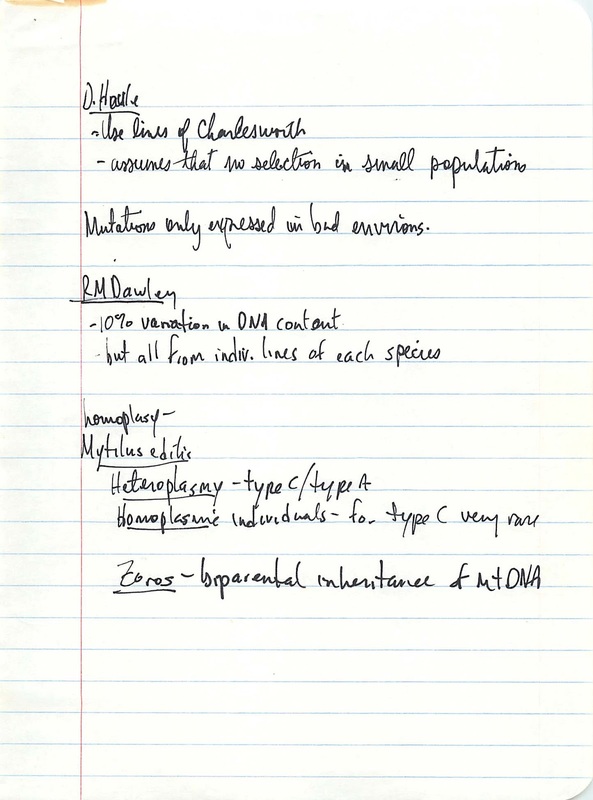 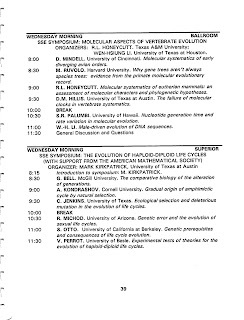 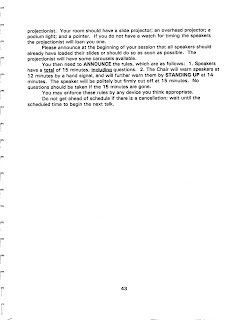 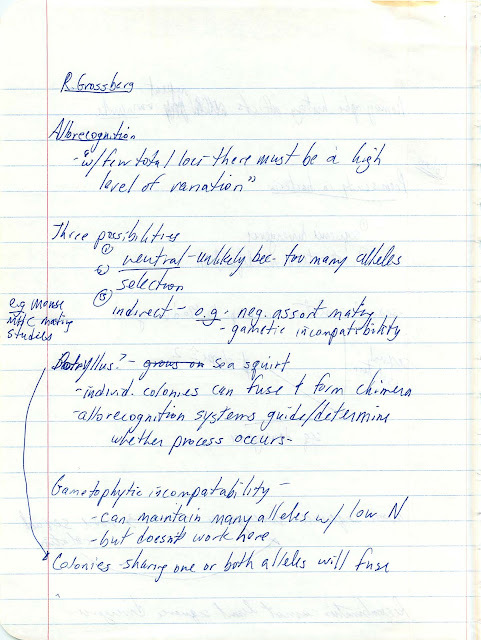 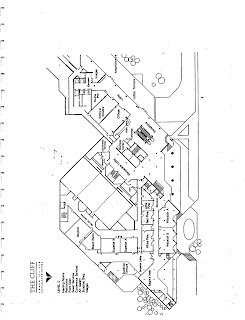 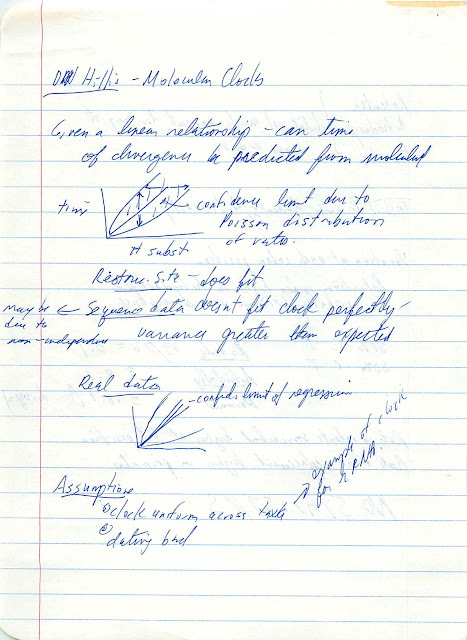 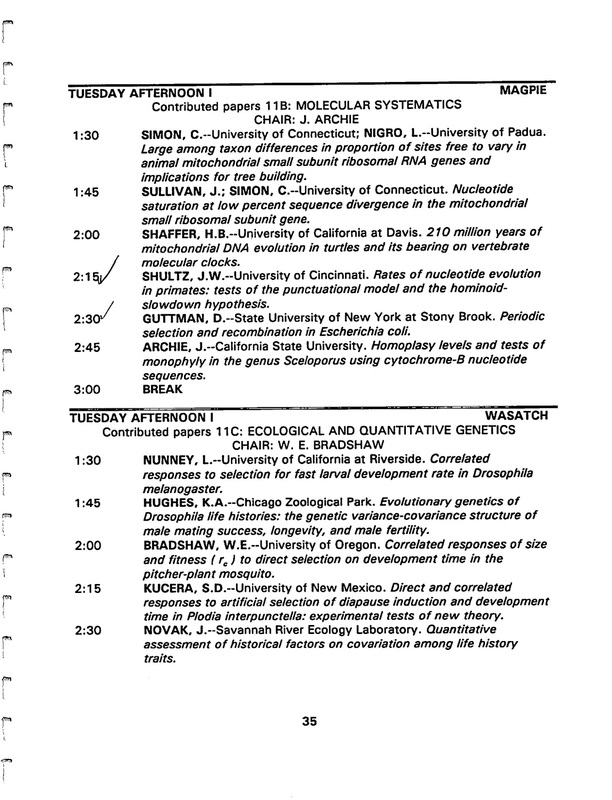 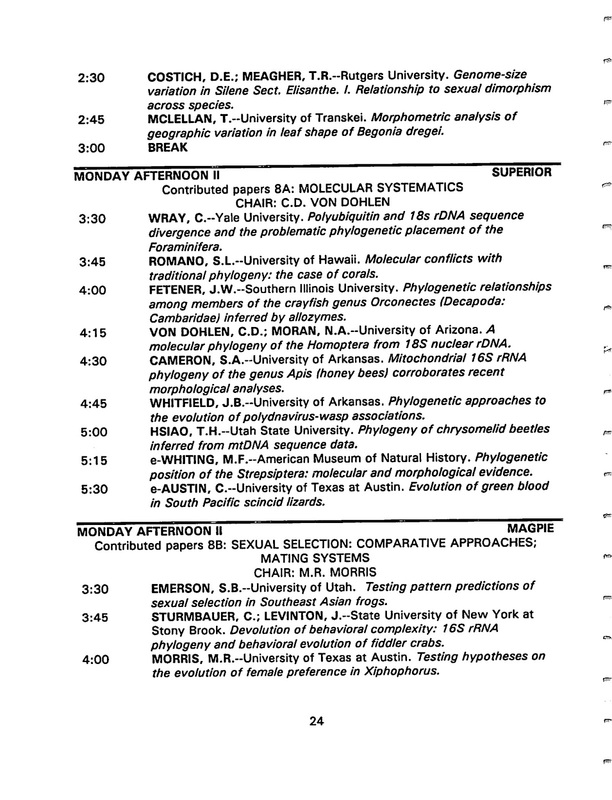 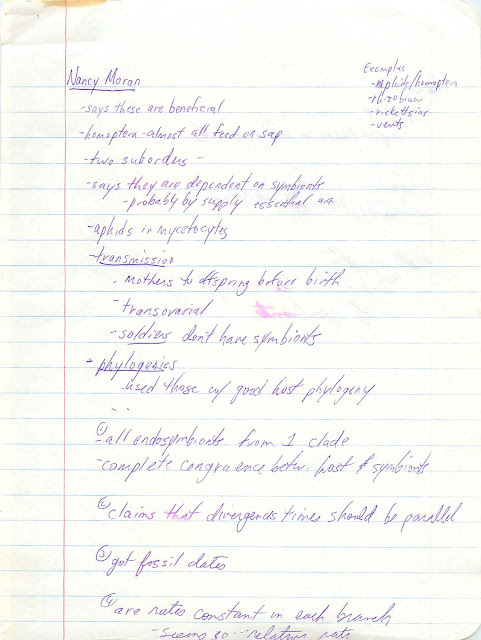 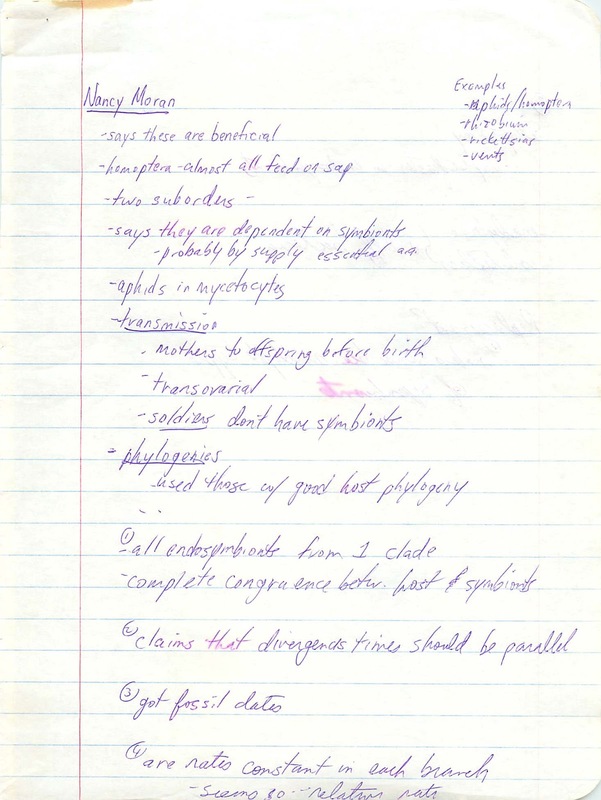 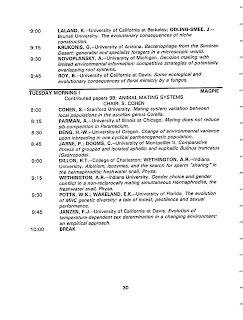 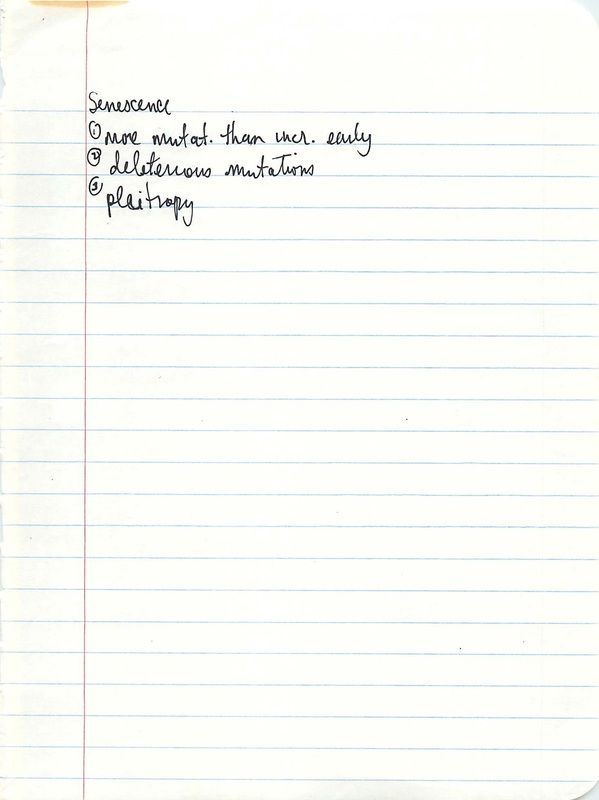 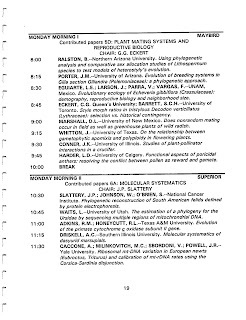 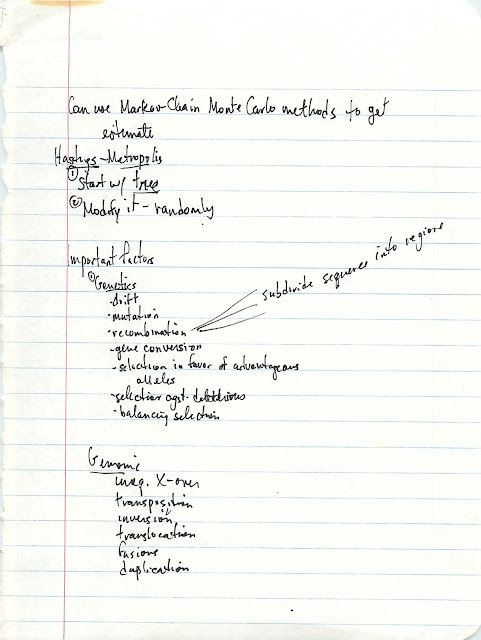 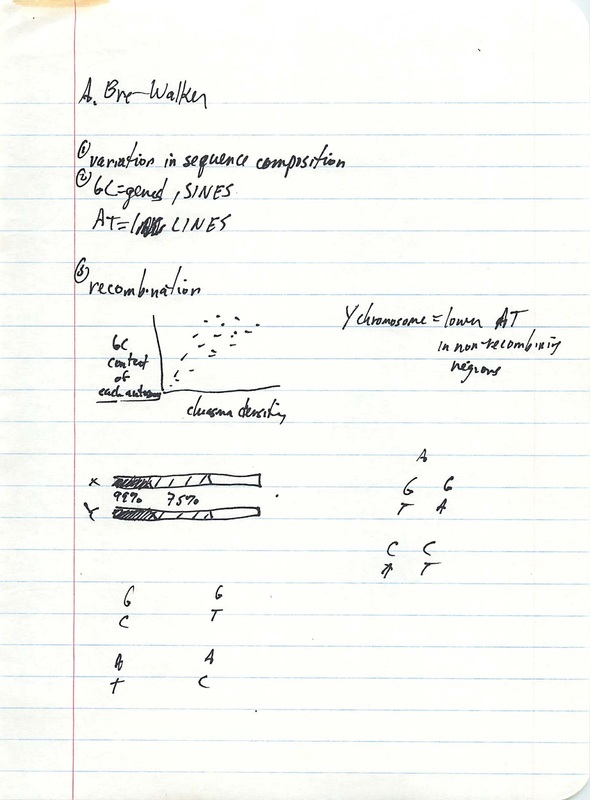 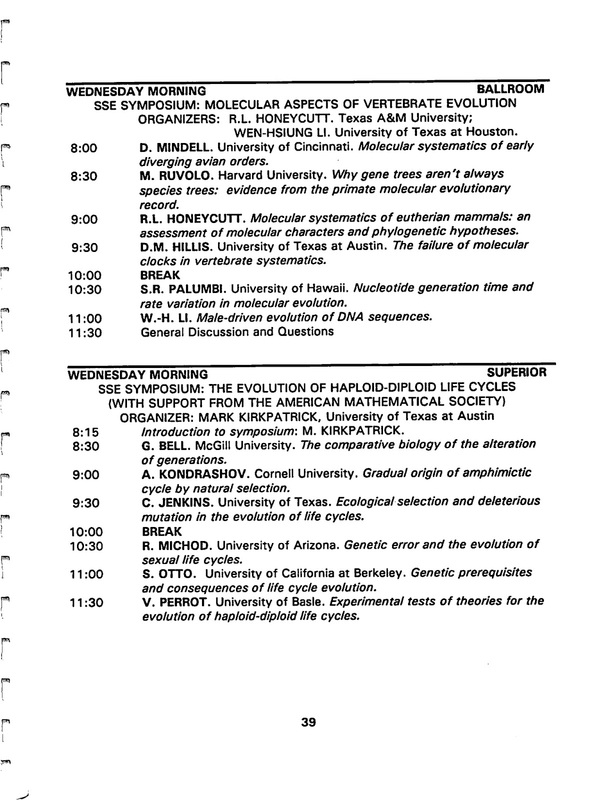 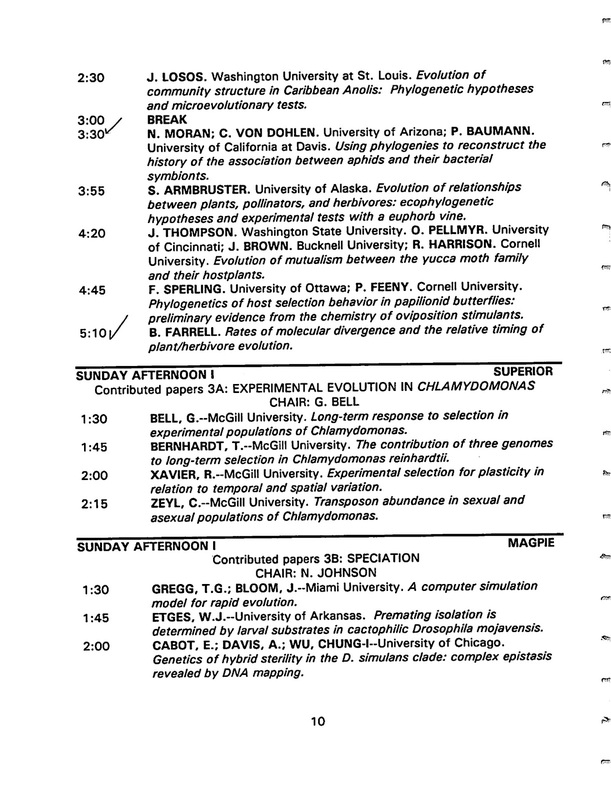 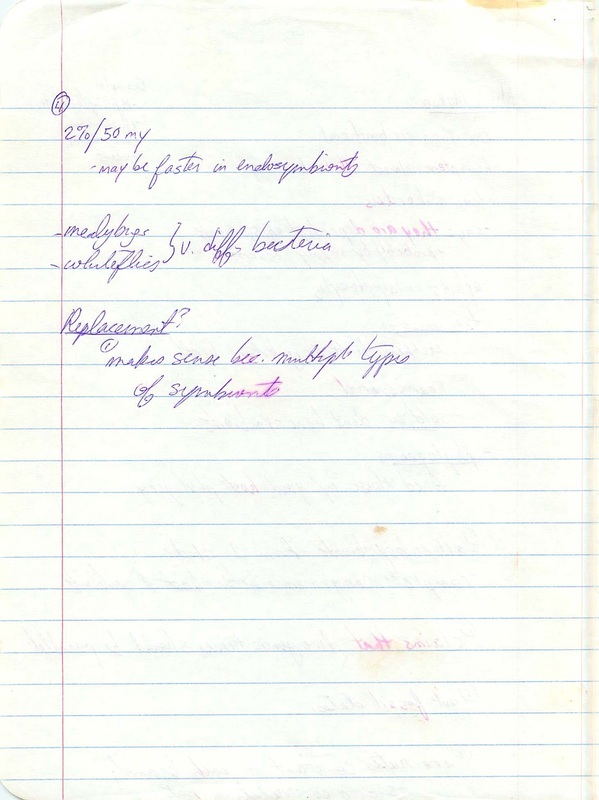 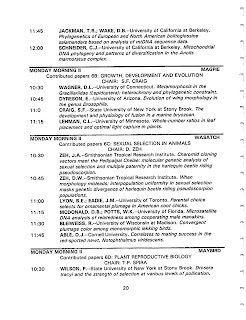 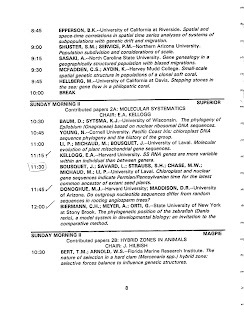 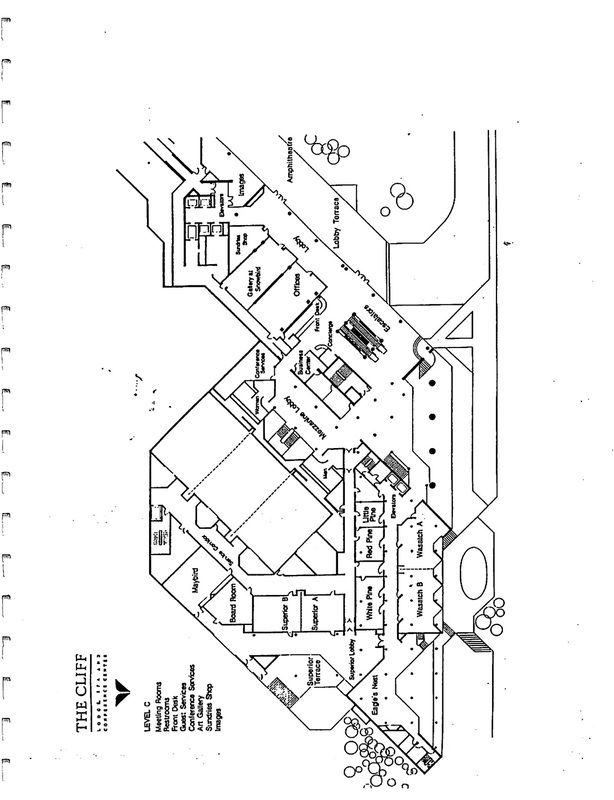 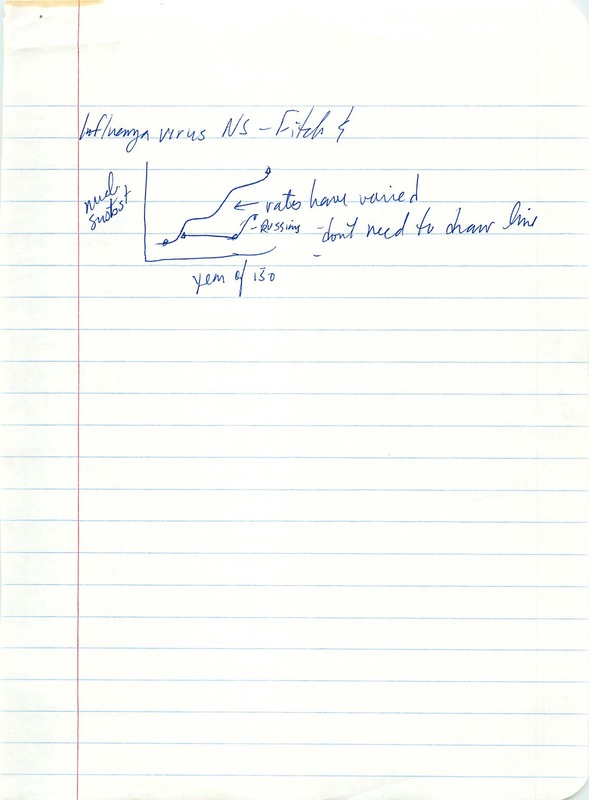 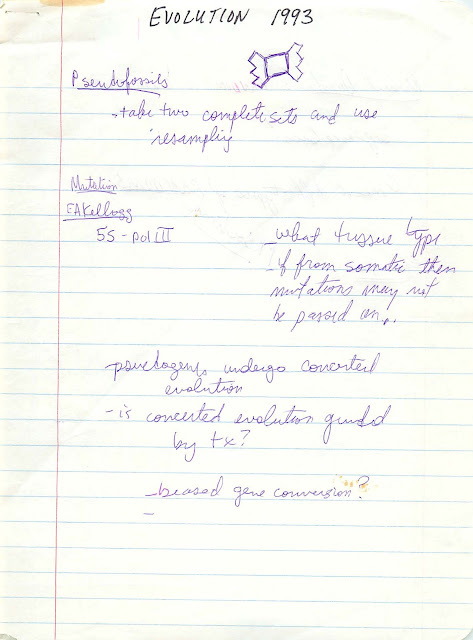 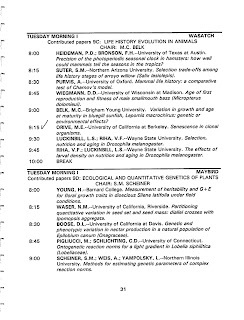 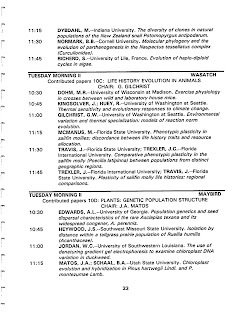 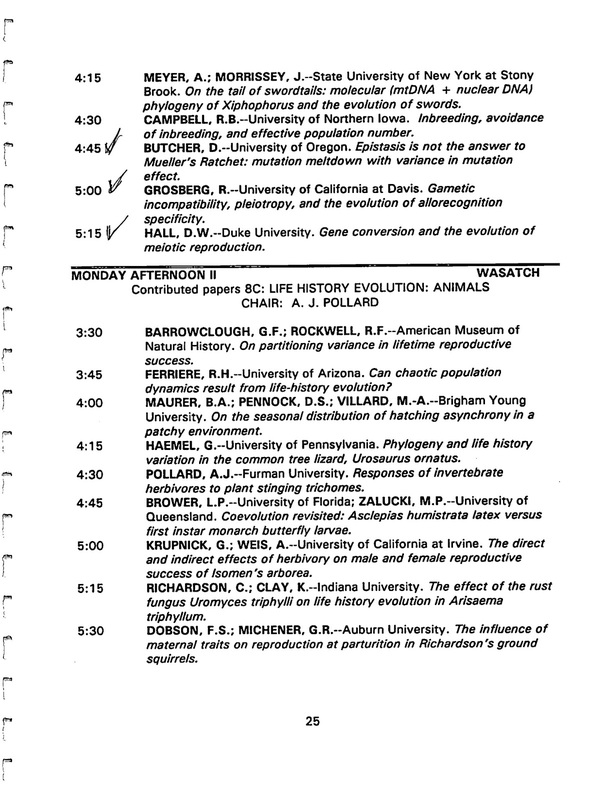 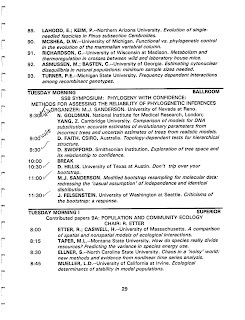 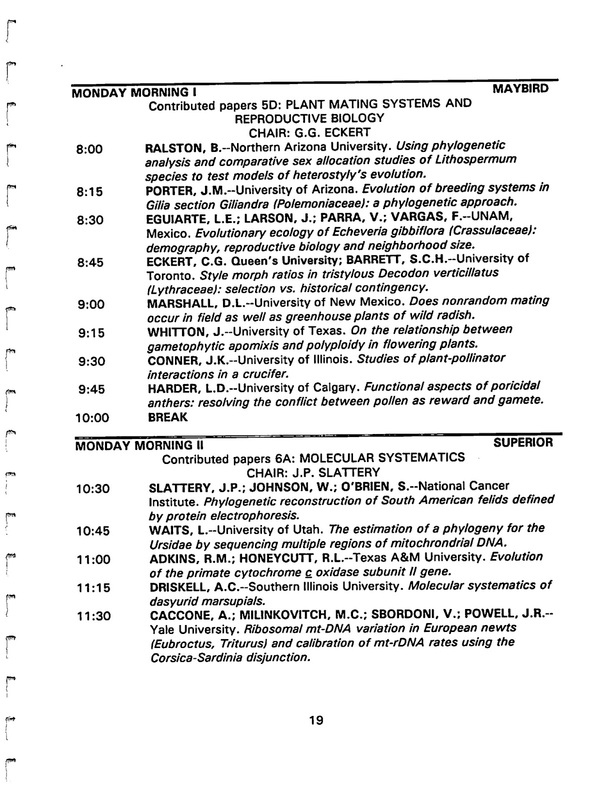 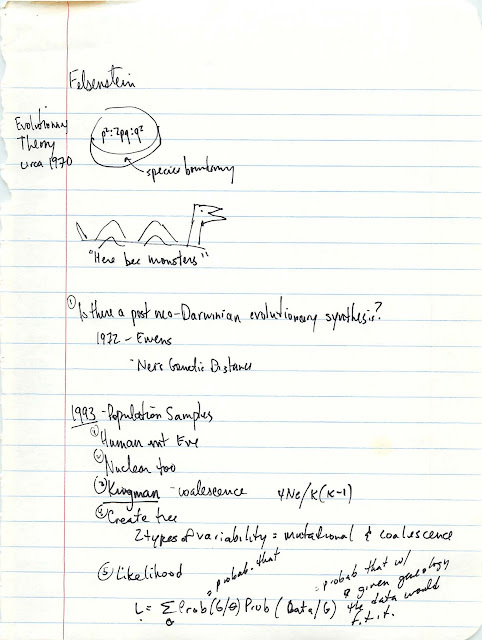 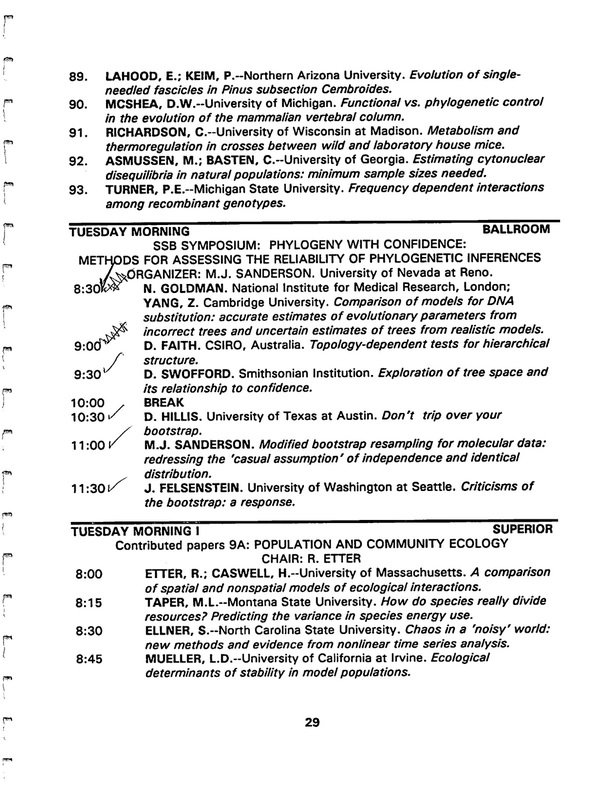 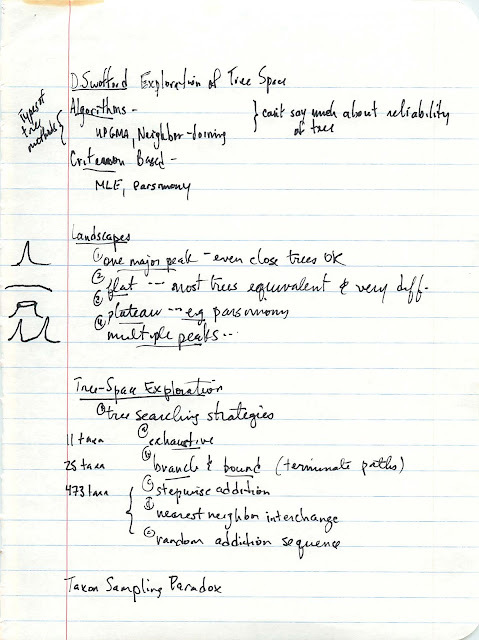 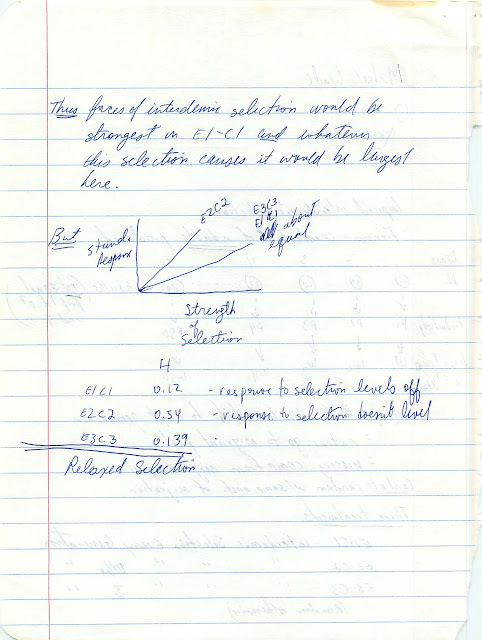 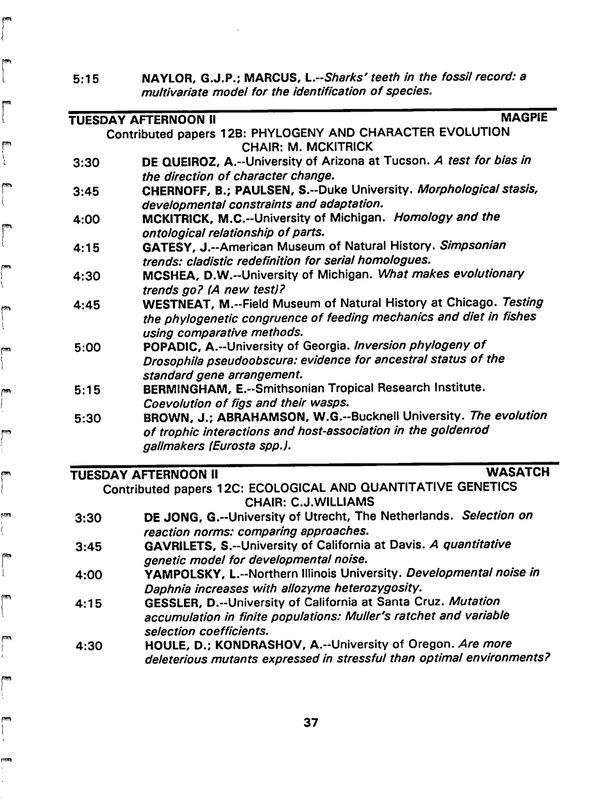 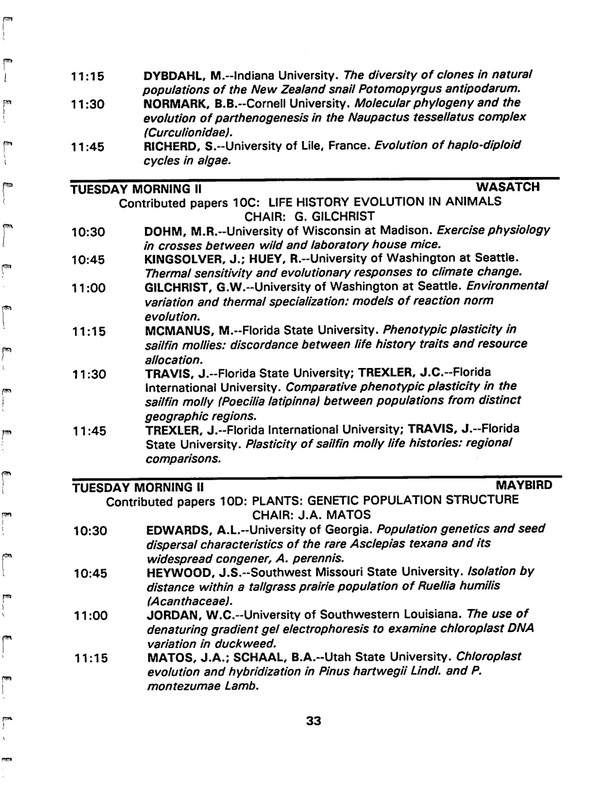 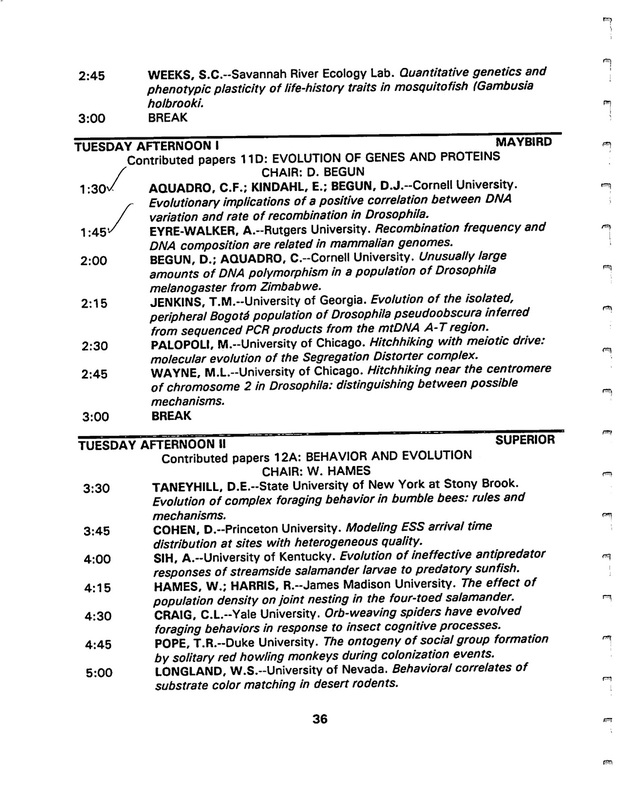 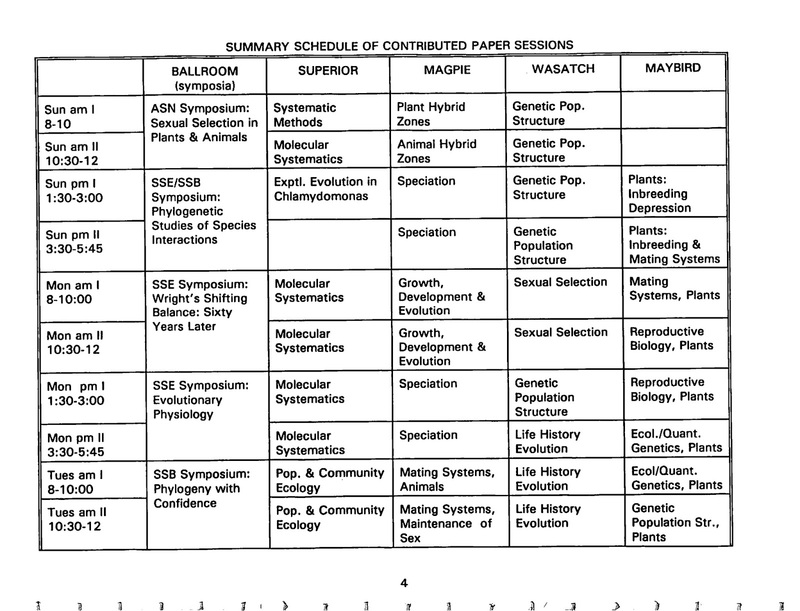 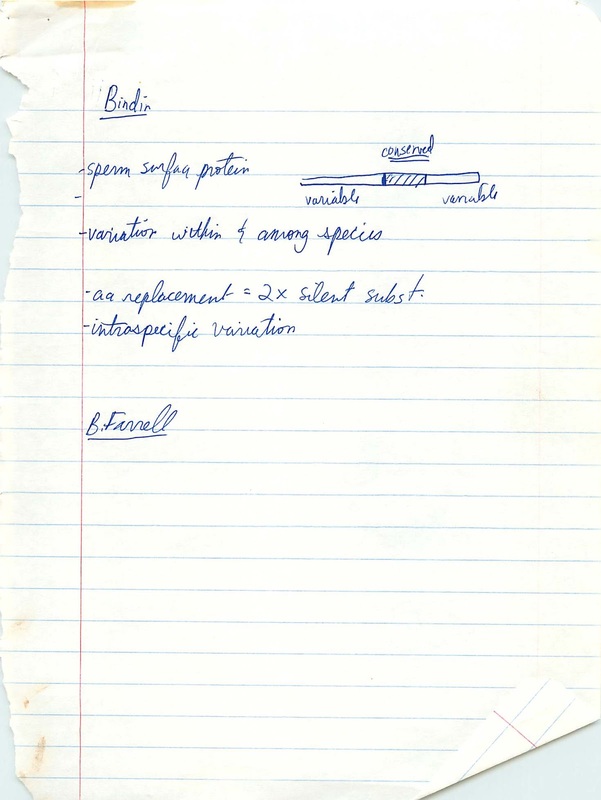 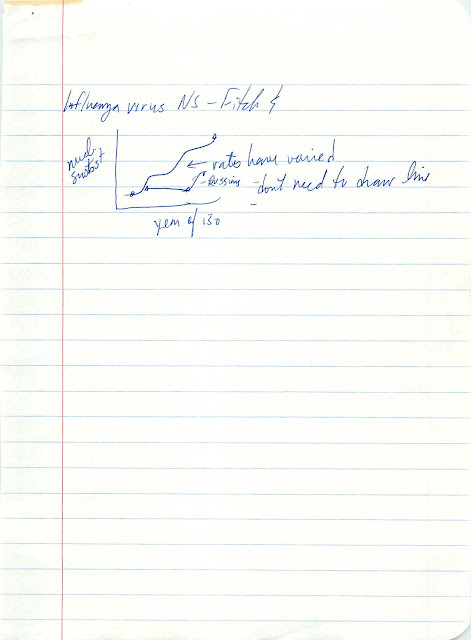 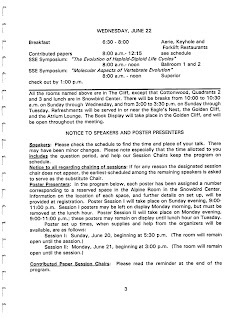 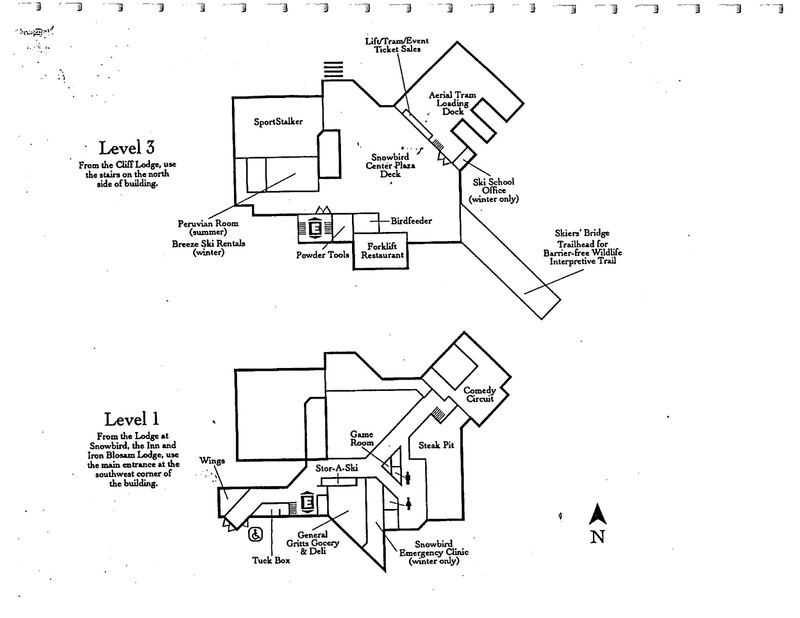 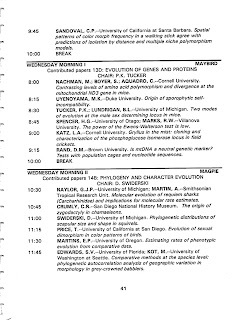 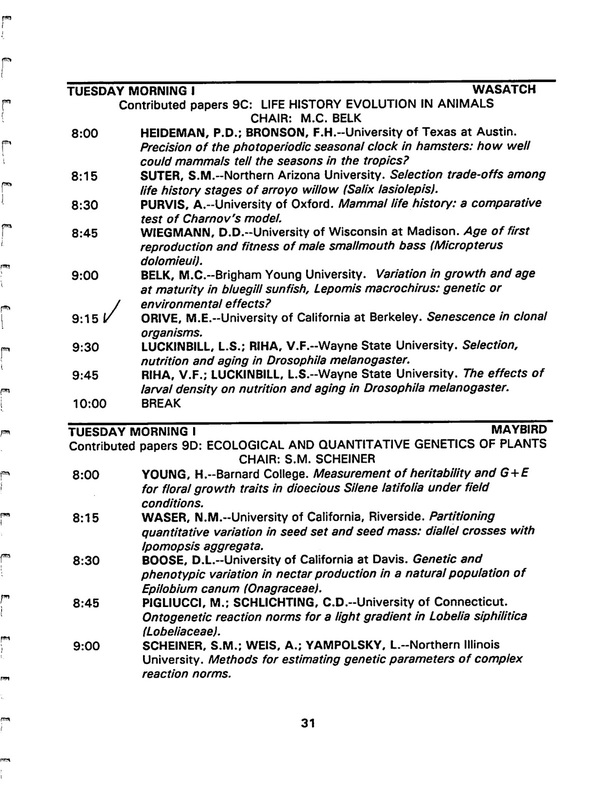 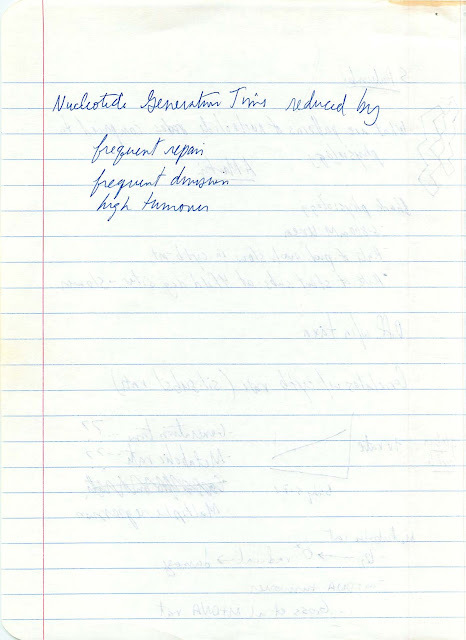 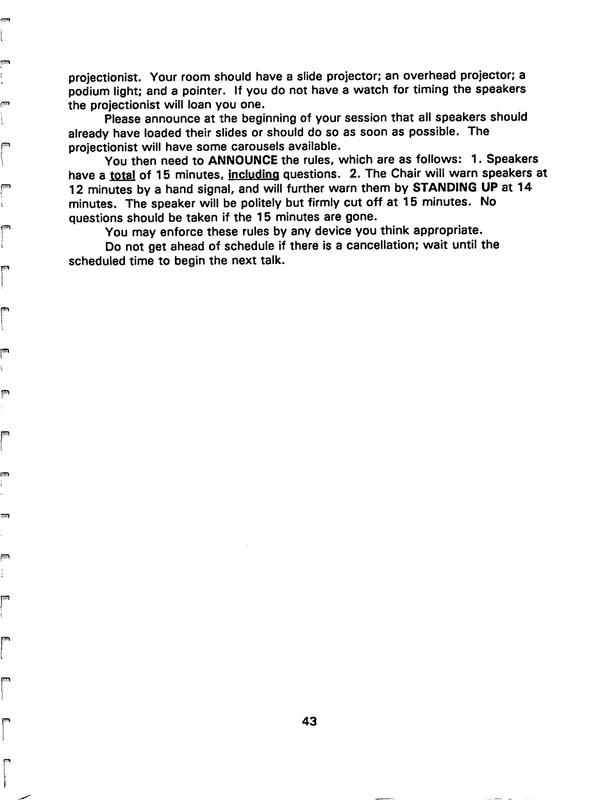 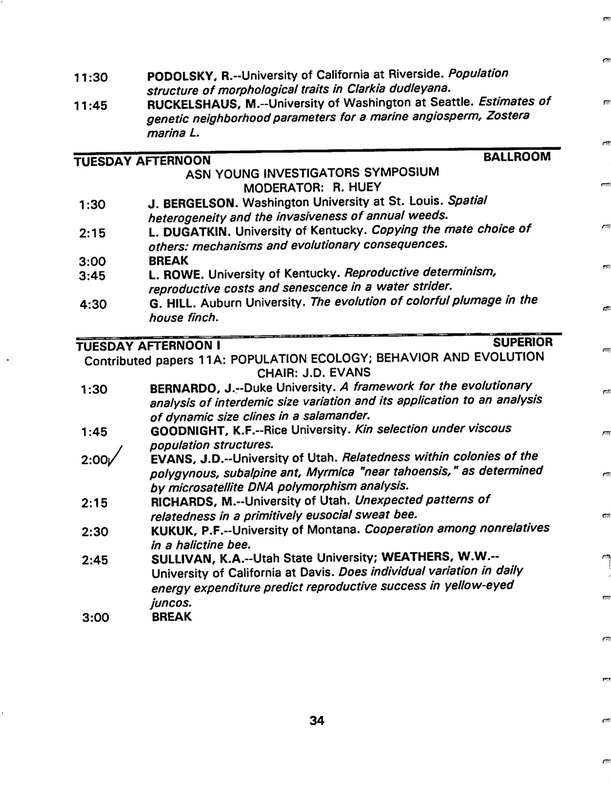 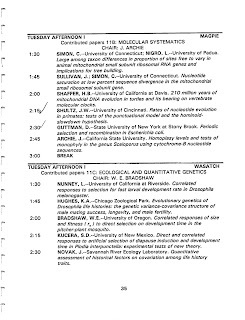 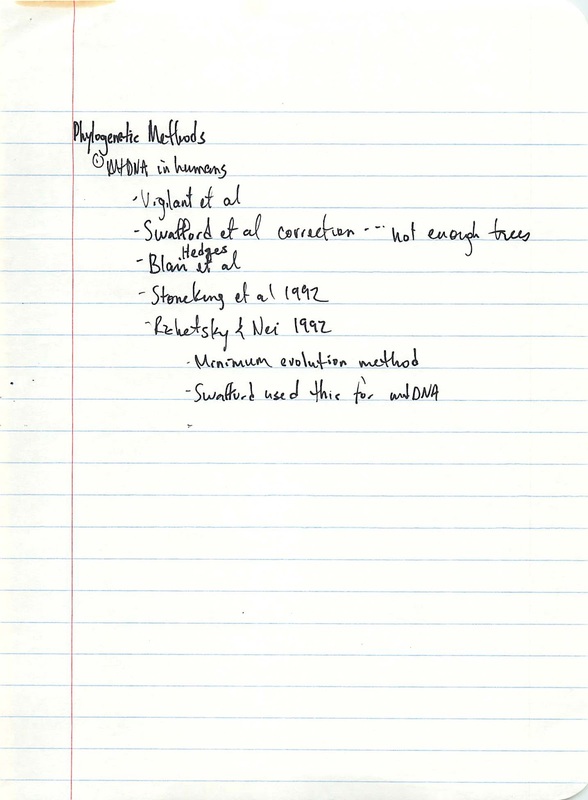 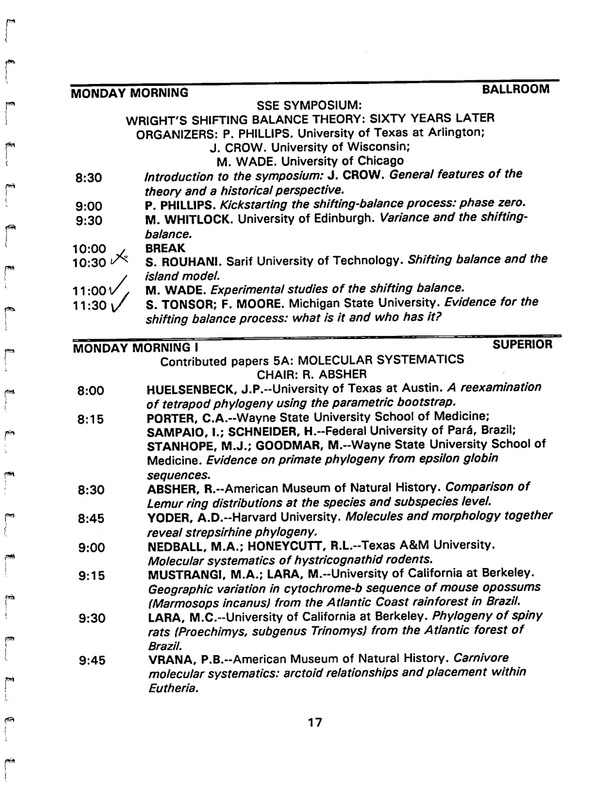 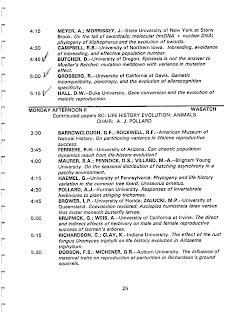 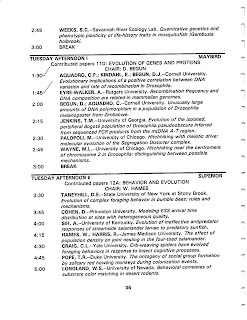 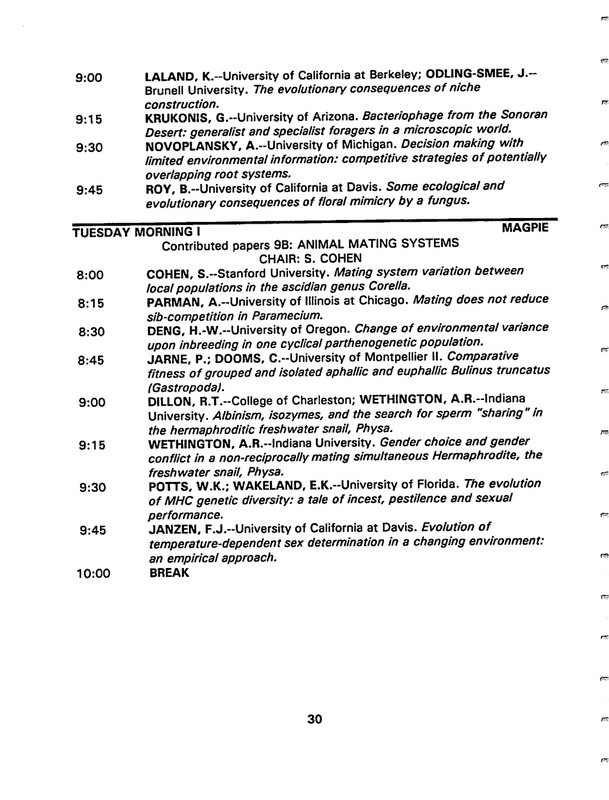 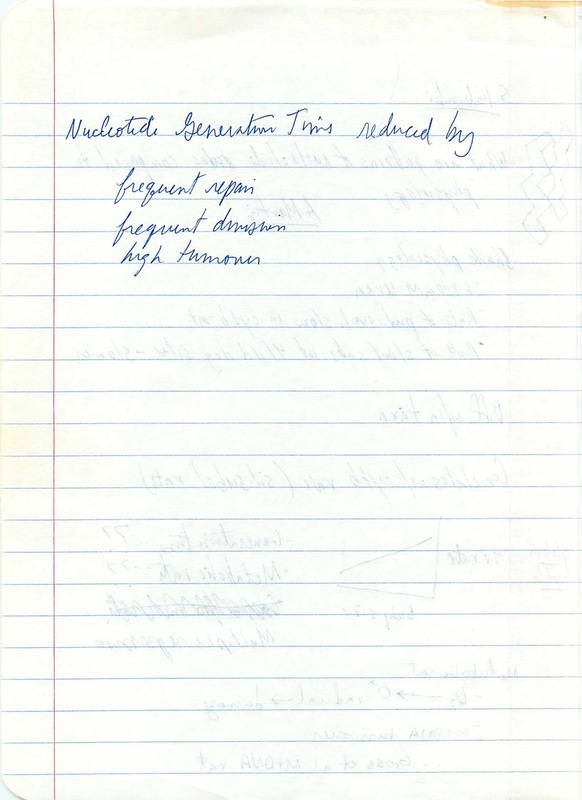 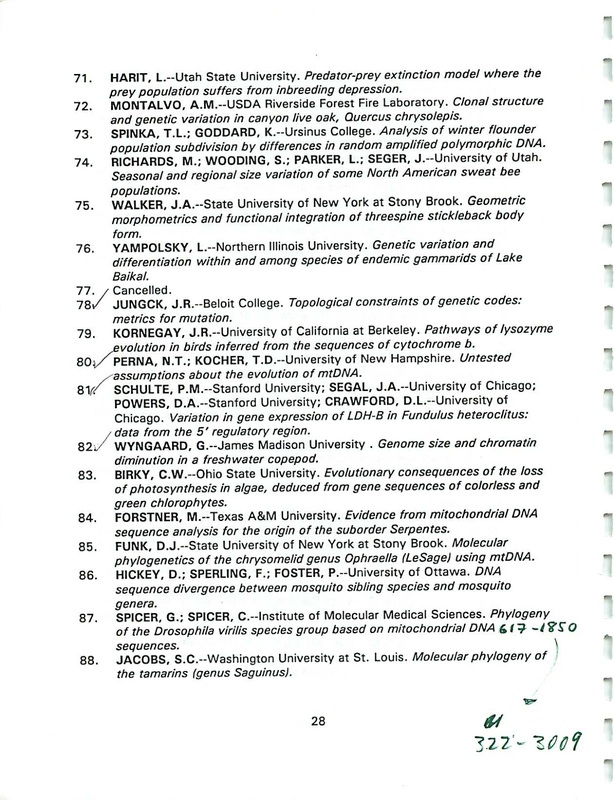 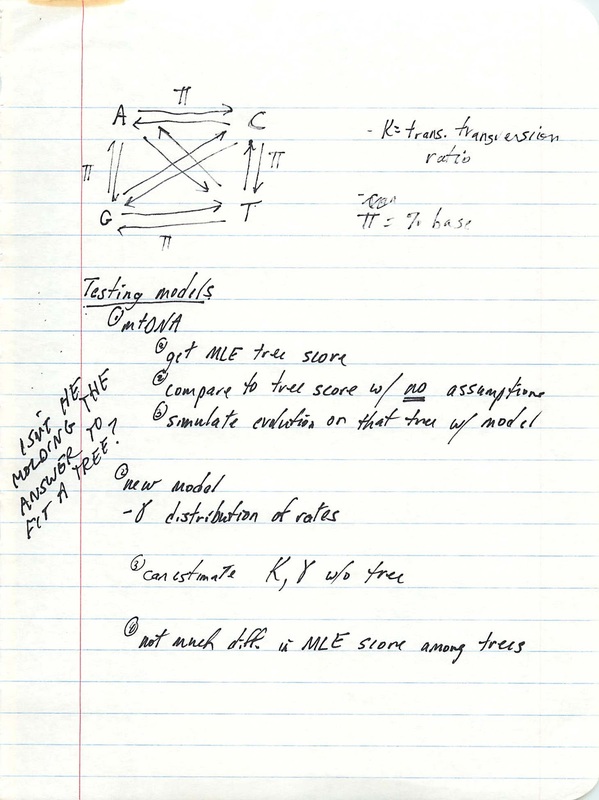 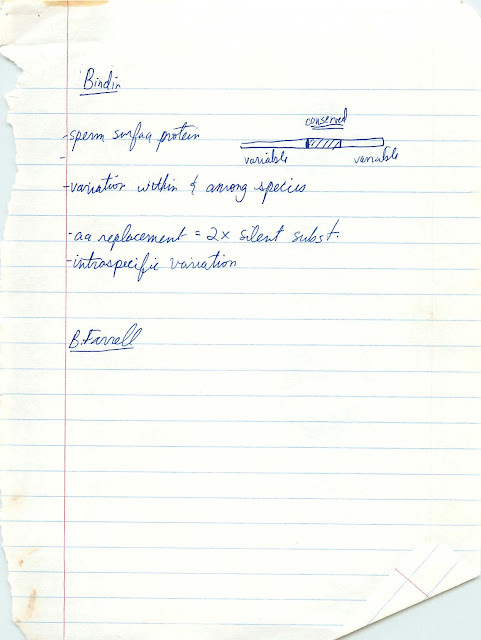 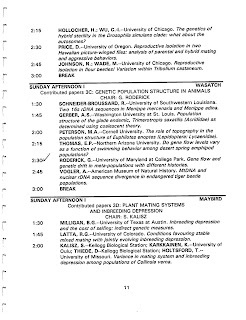 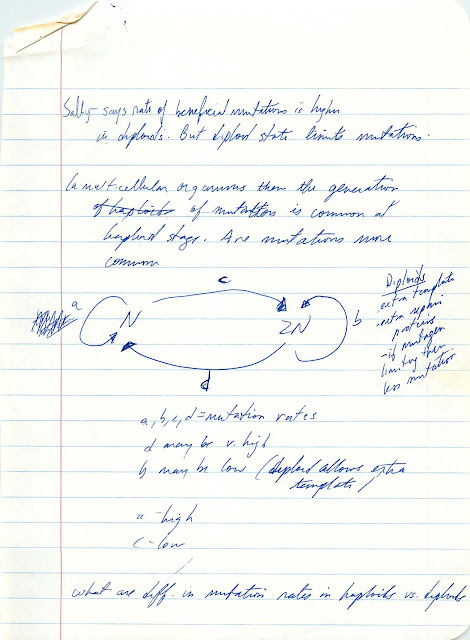 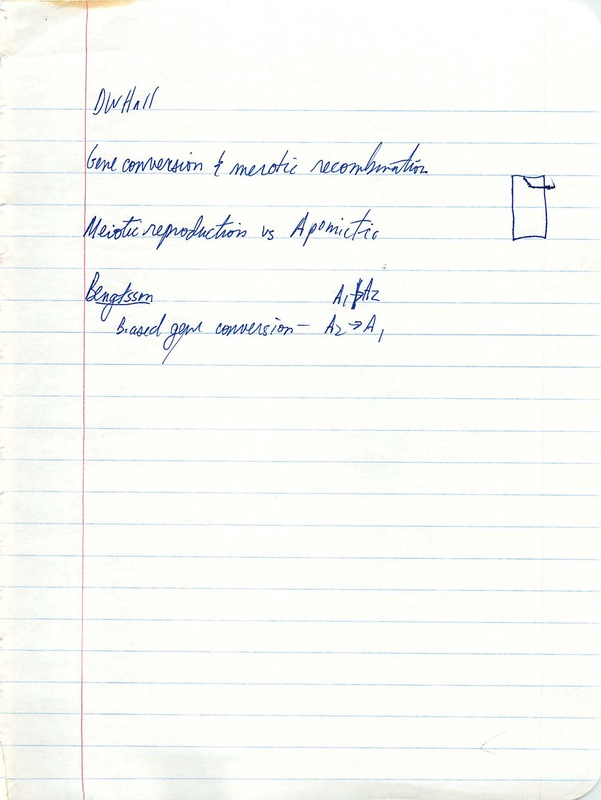 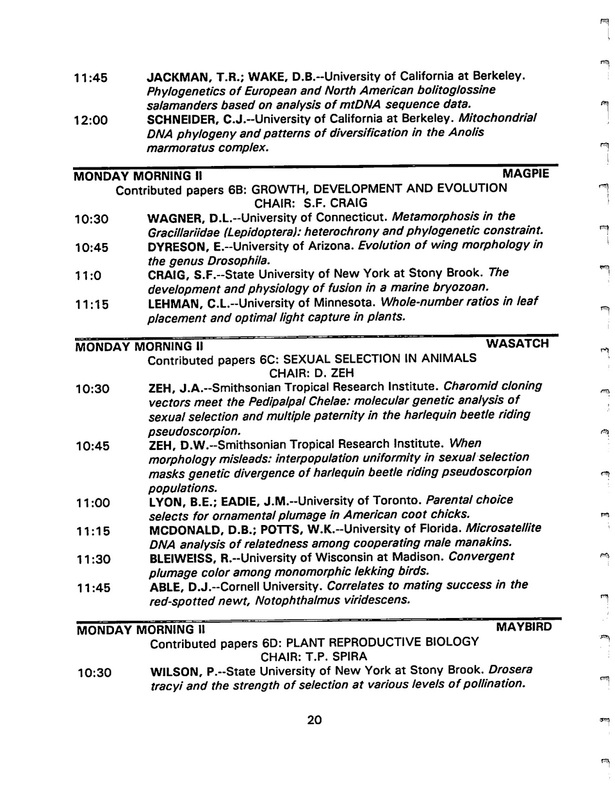 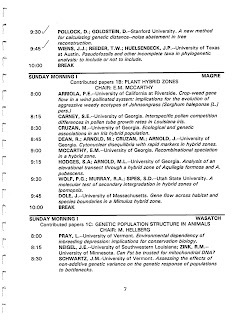 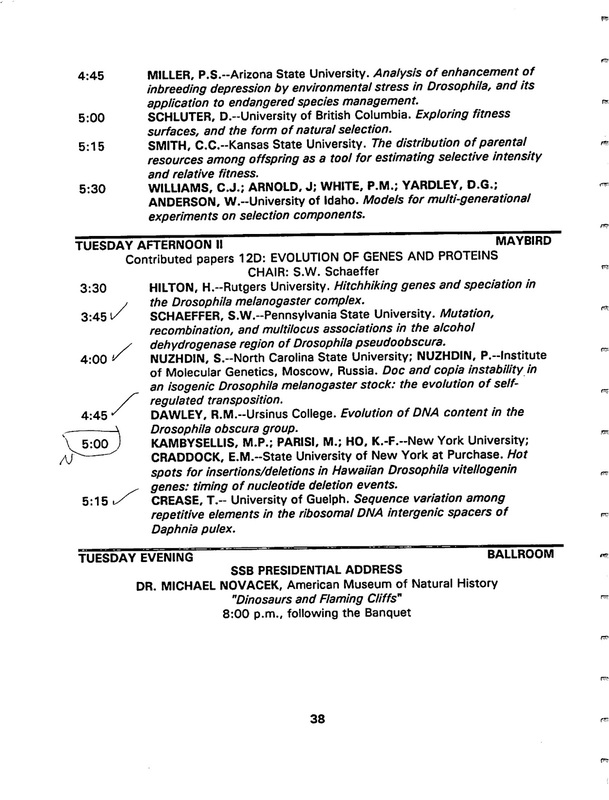 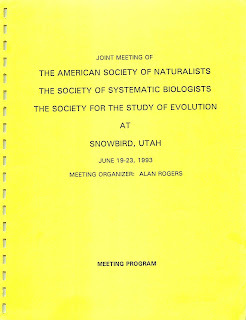 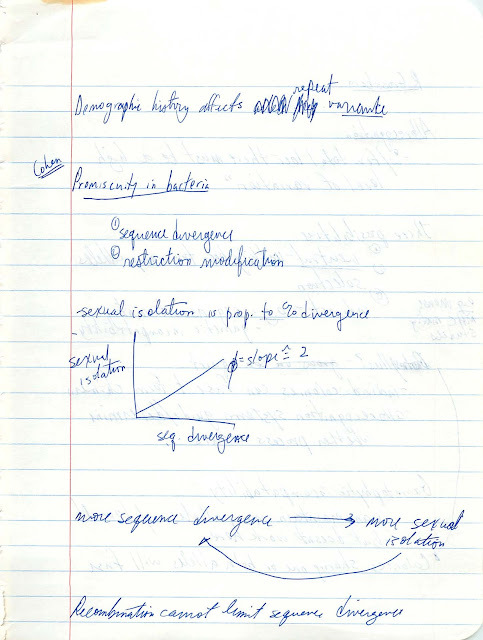 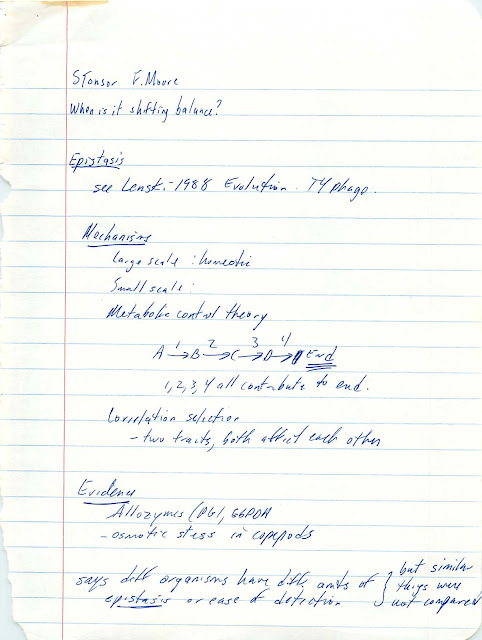 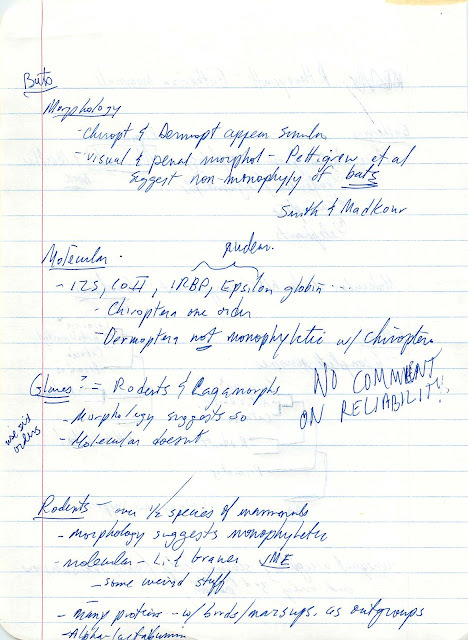 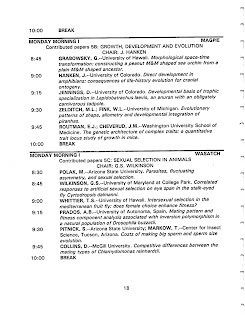 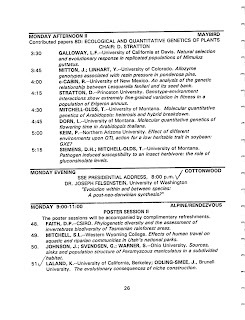 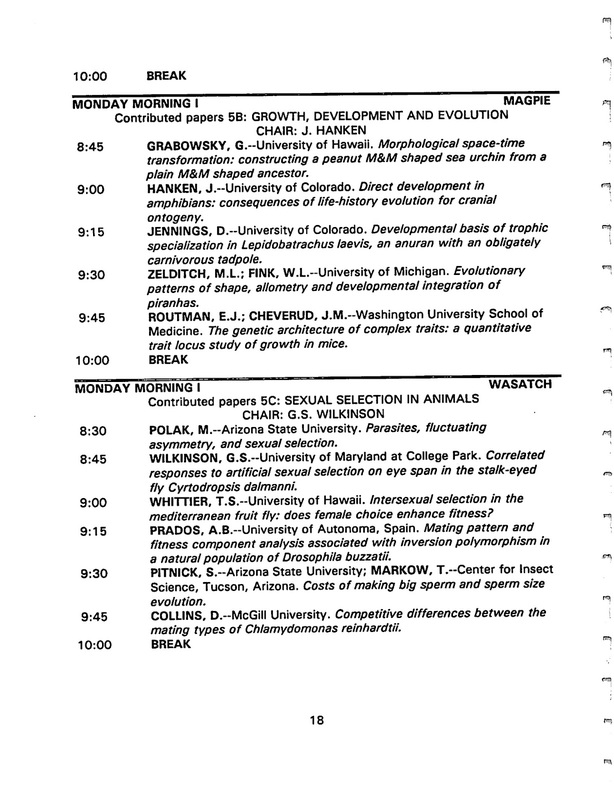 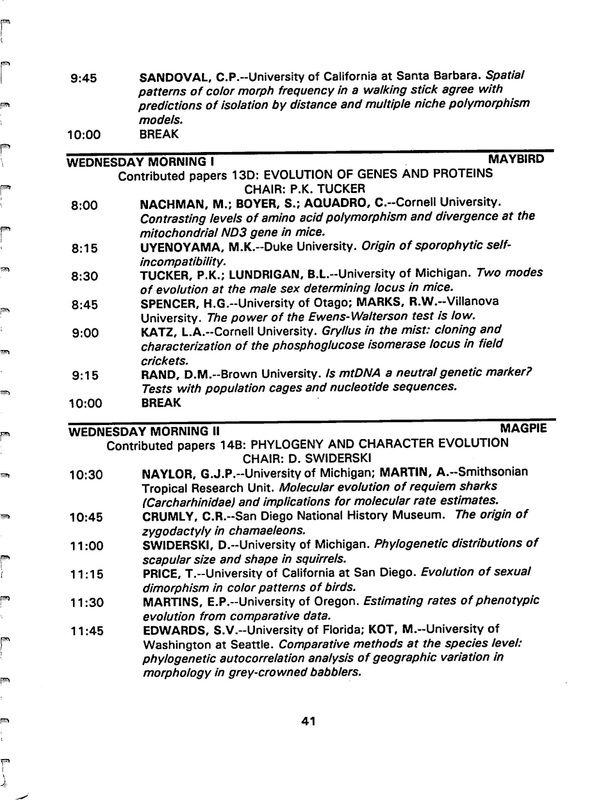 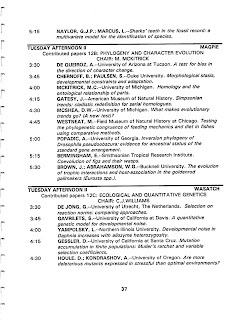 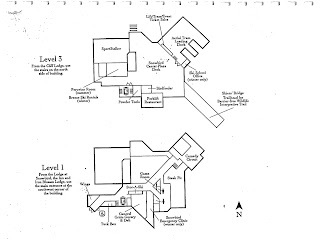 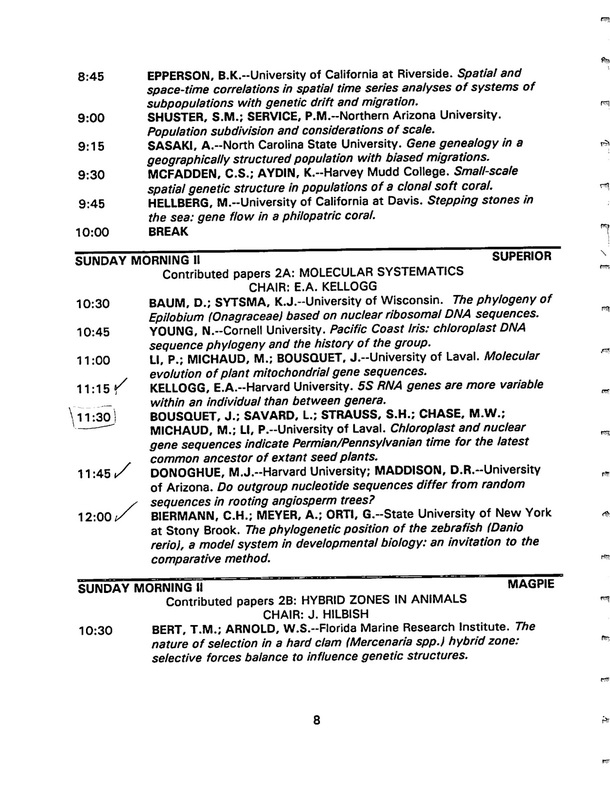 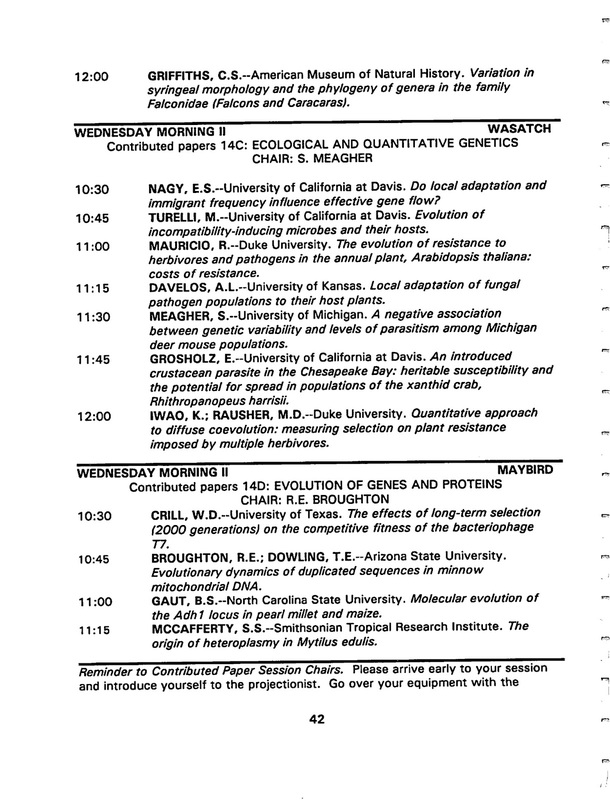 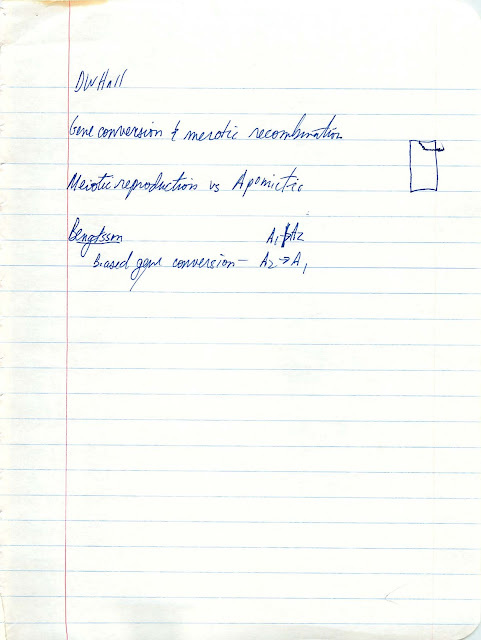 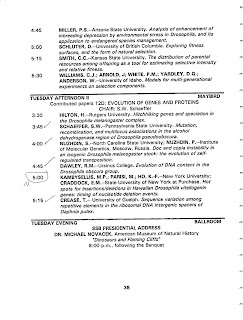 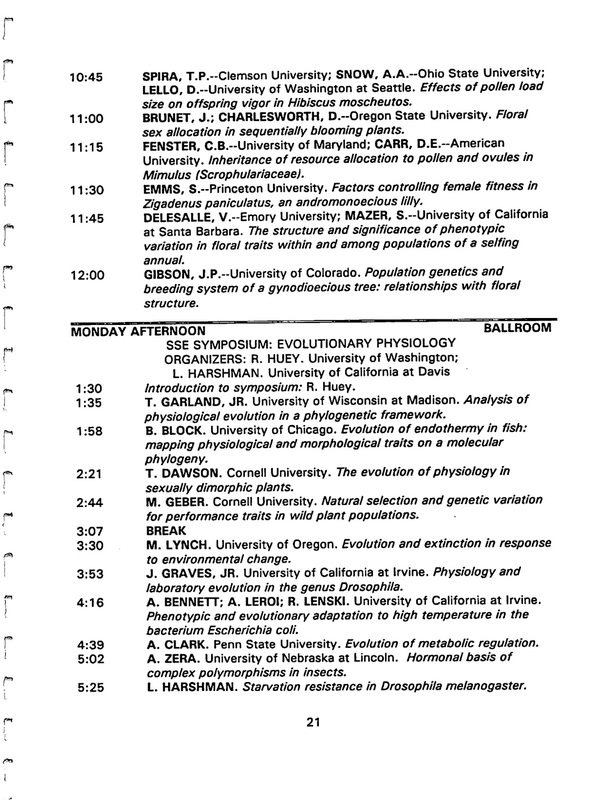 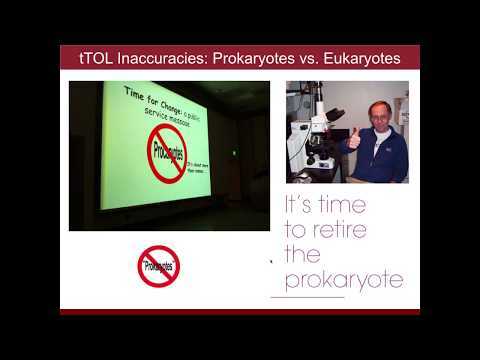 These meetings were critical to me in many ways but especially since I ended up doing molecular evolution work in a lab that was not focused on molecular evolution. 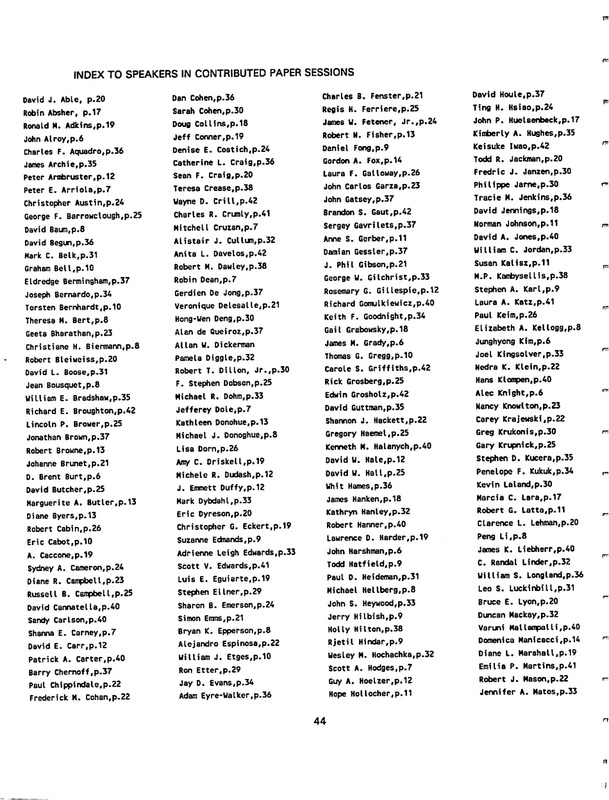 CALPEG gave me a community. 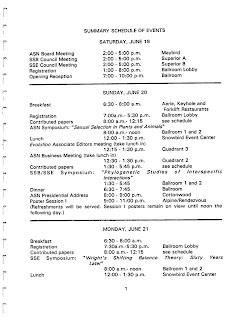 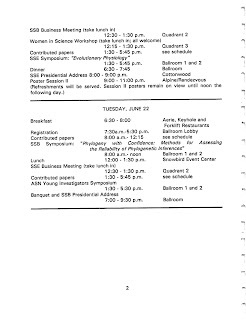 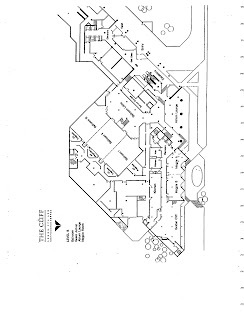 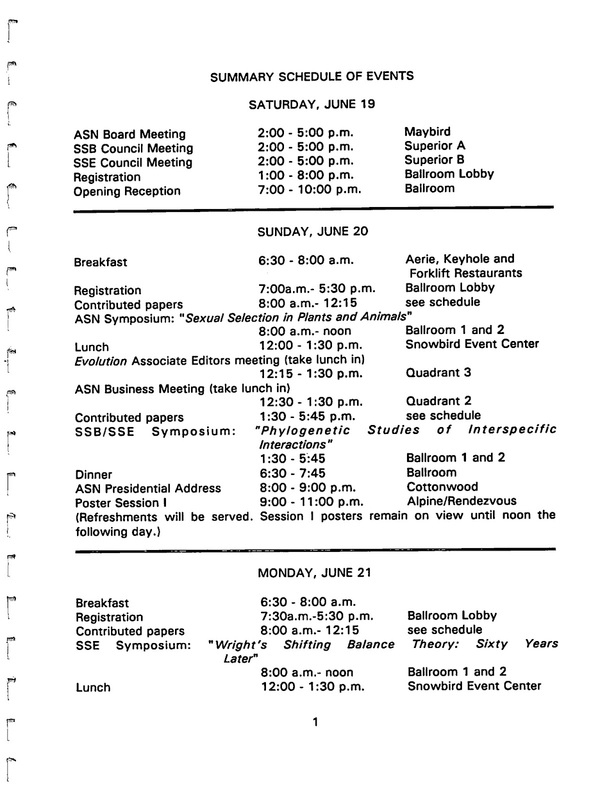 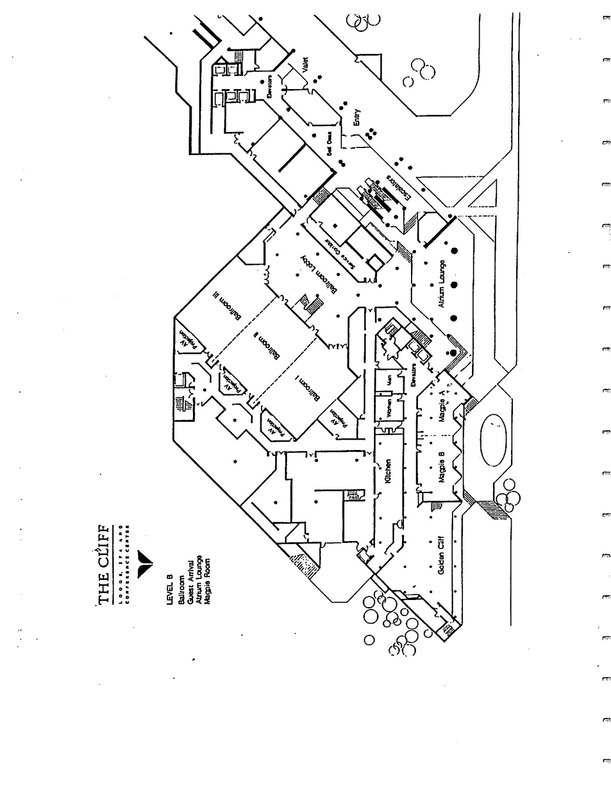 SO am posting here about the first one I attended - the 1992 meeting which I think was in San Deigo. 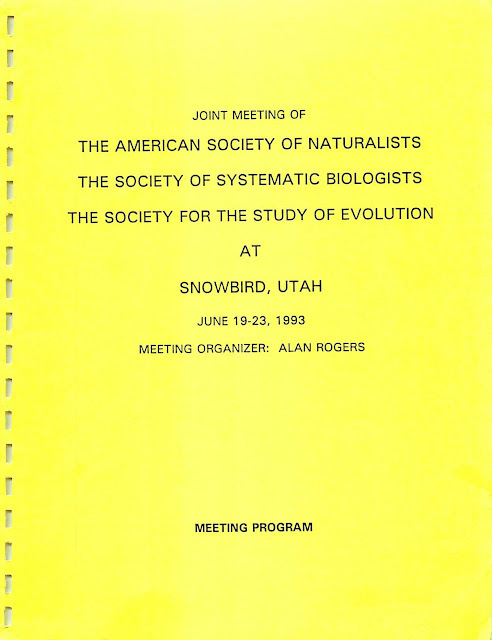 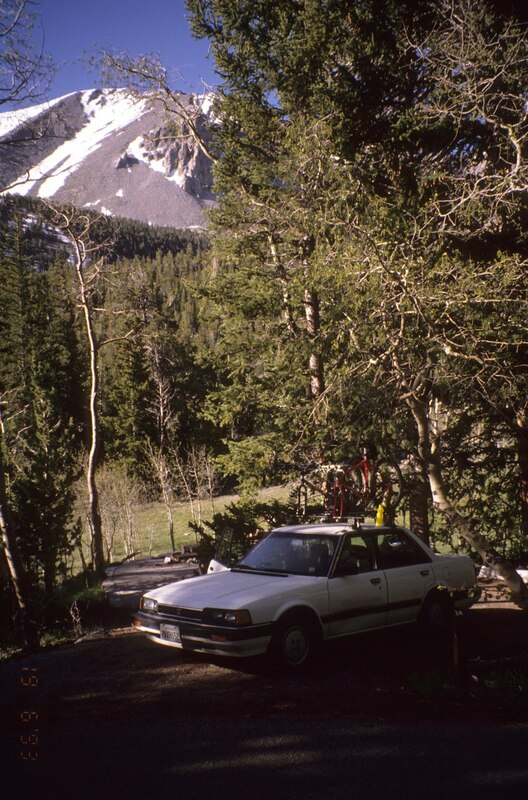 I drove to this meeting from Stanford with David Pollock and we went camping along the way at a relatively new National Park - Great Basin. 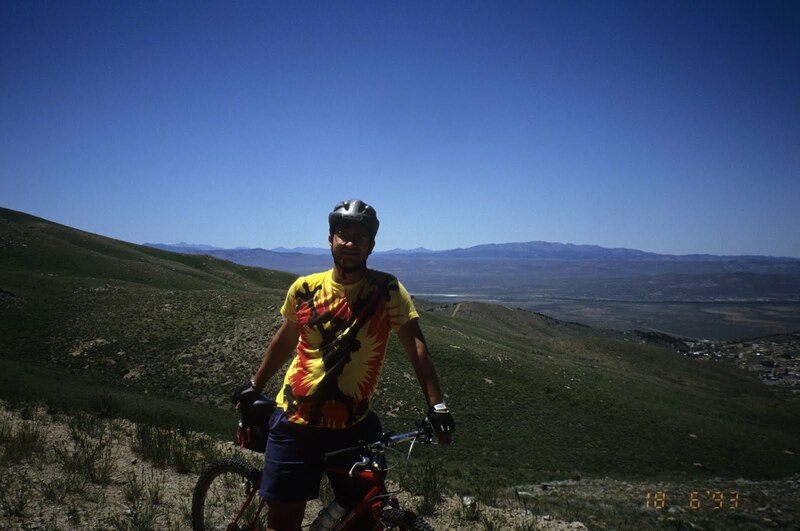 I brought my bike and overall had a nice time. 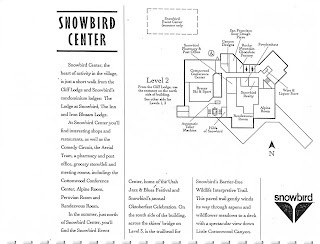 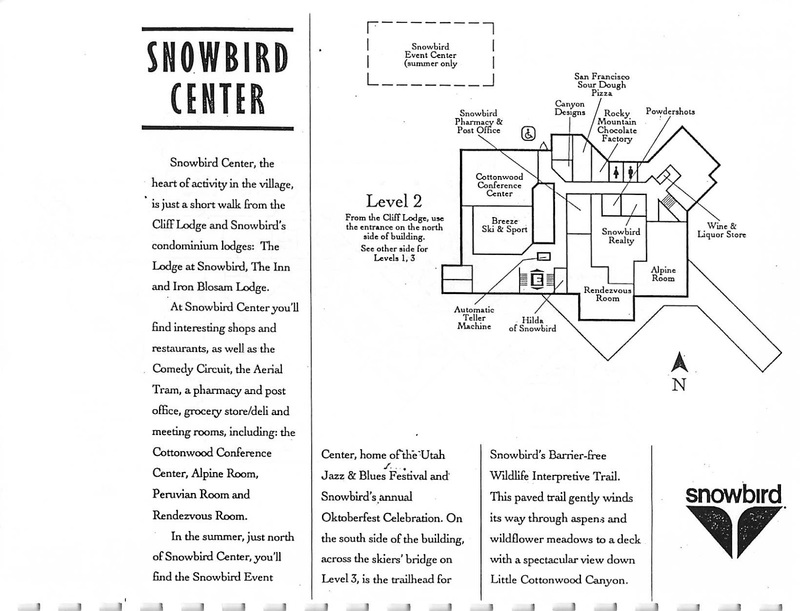 And then we arrived in Snowbird and, amazingly, at the reception I discovered that a friend of mine from high school Jeff Wager was working at the Snowbird resort. 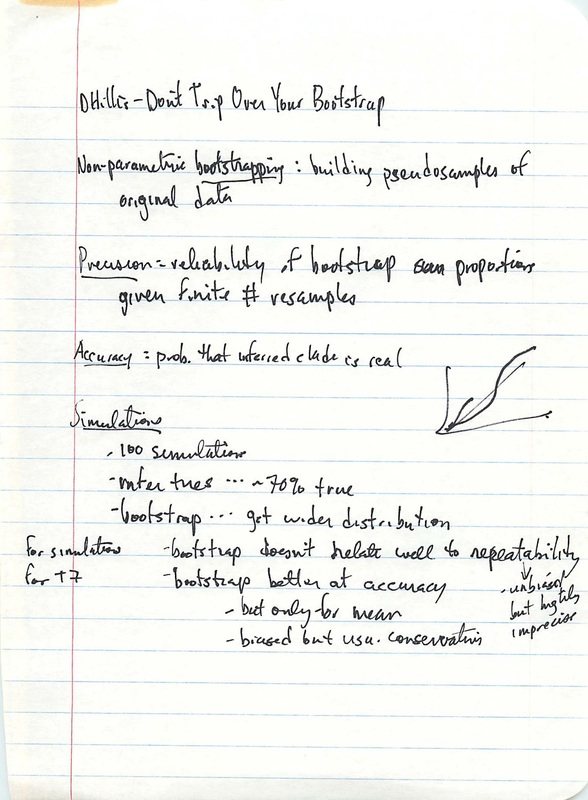 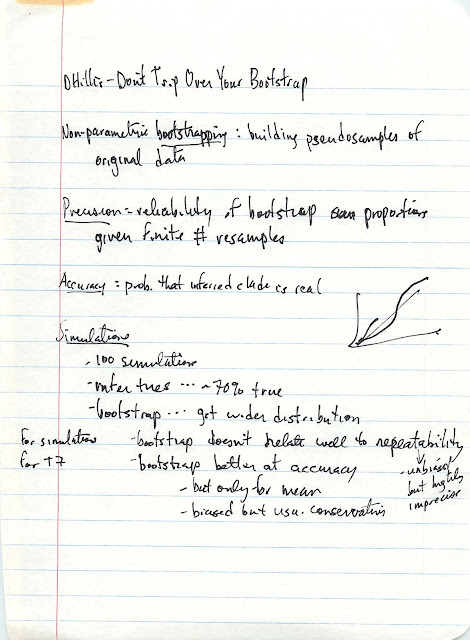 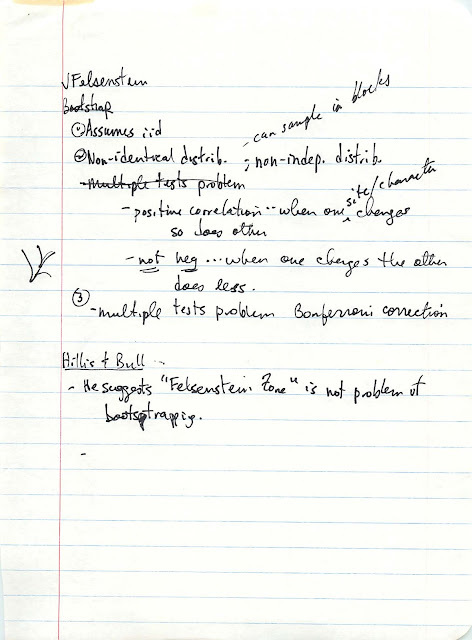 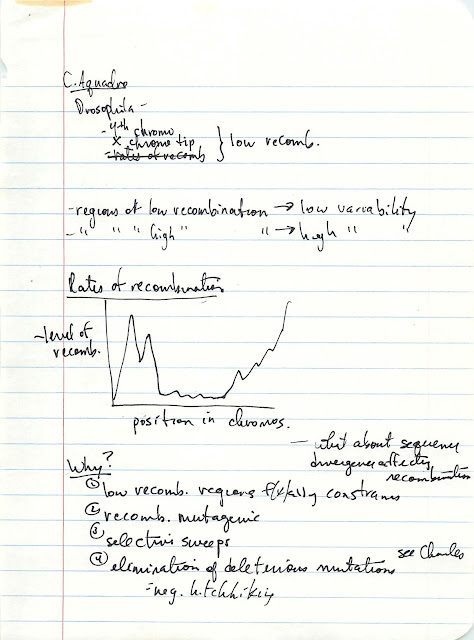 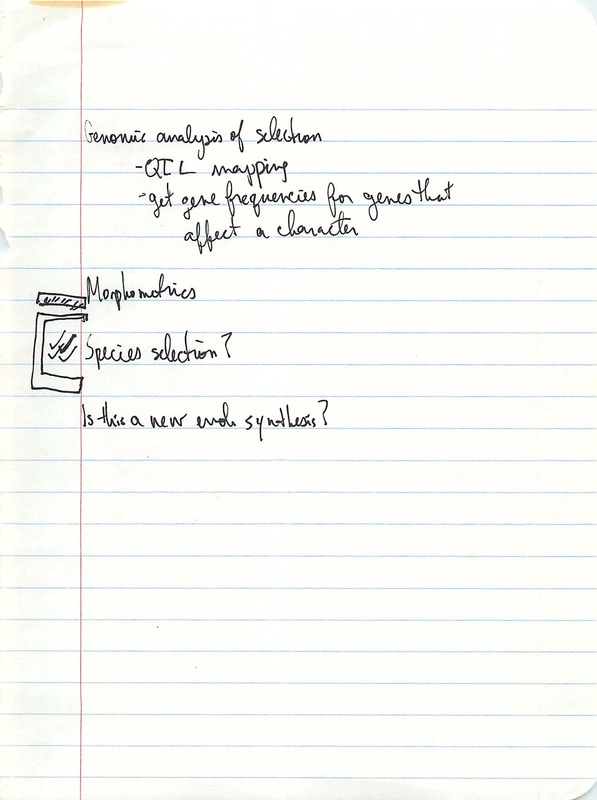 Anyway - enough about me - here are my notes from the meeting.